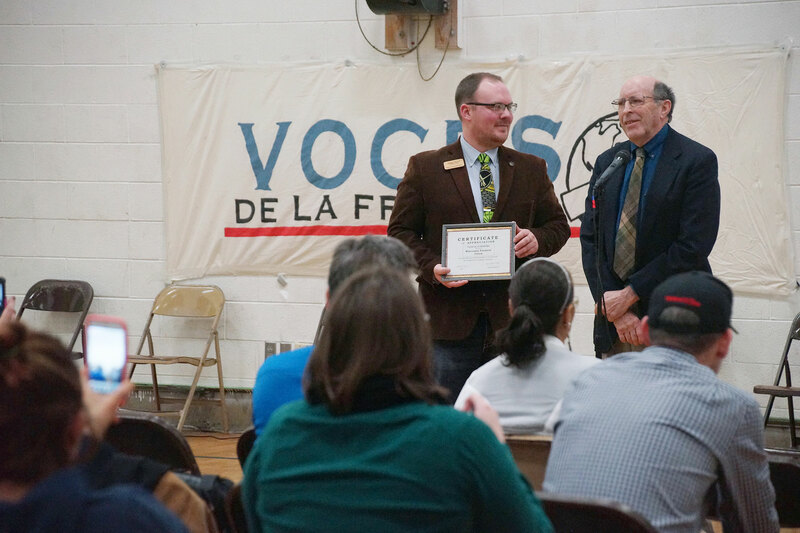 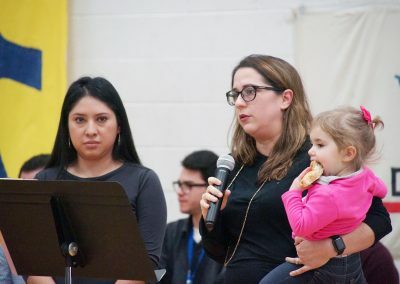 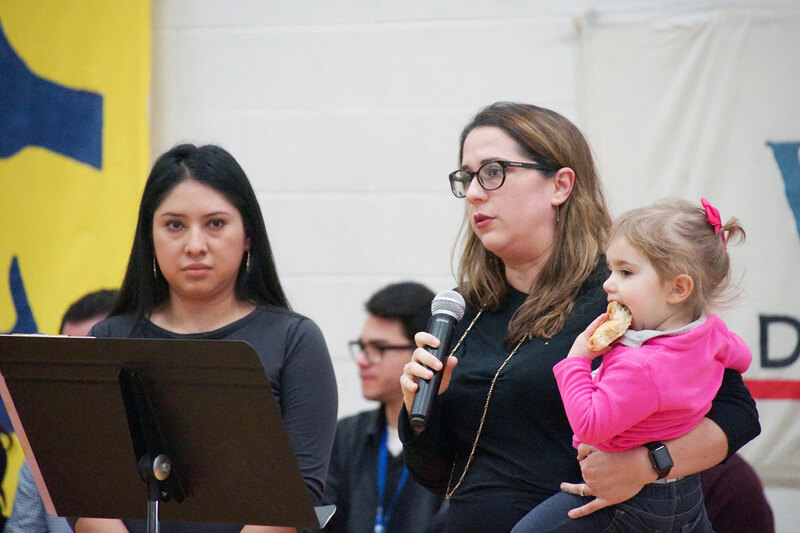 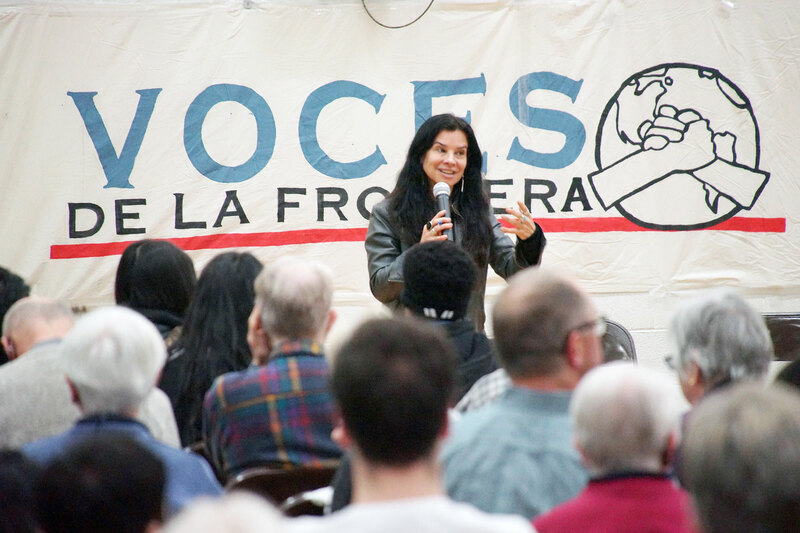 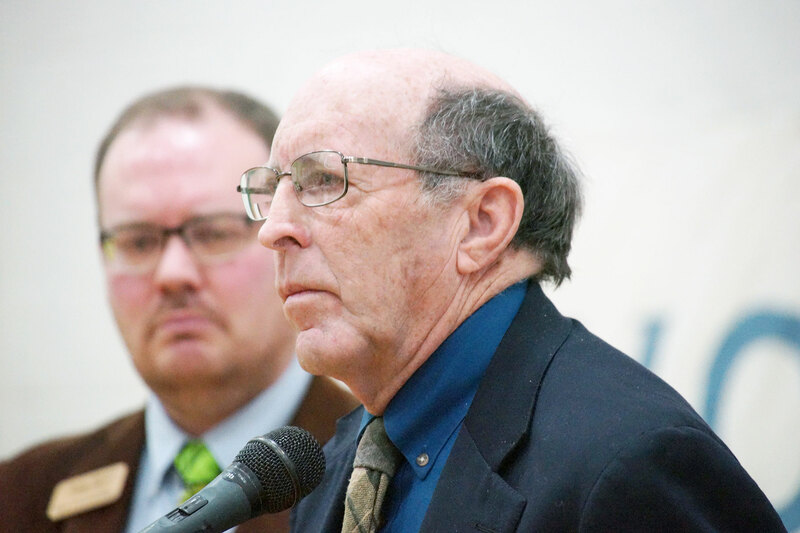 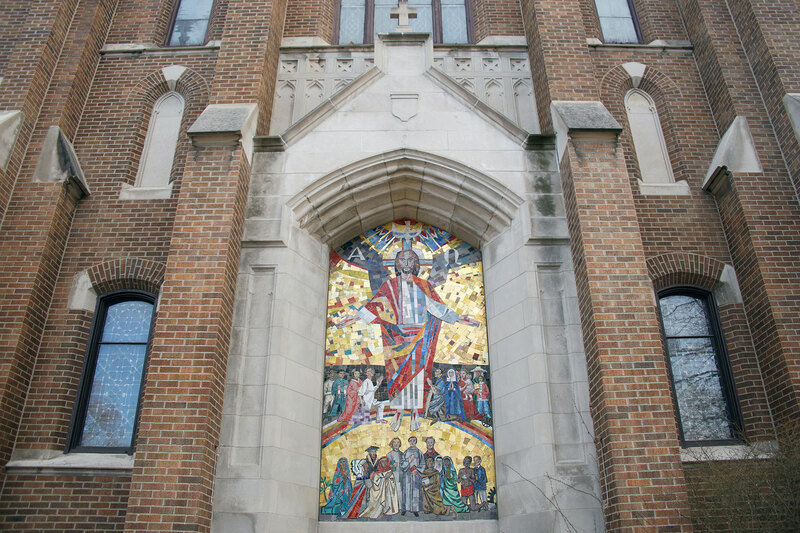 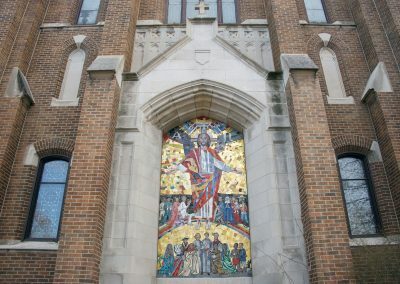 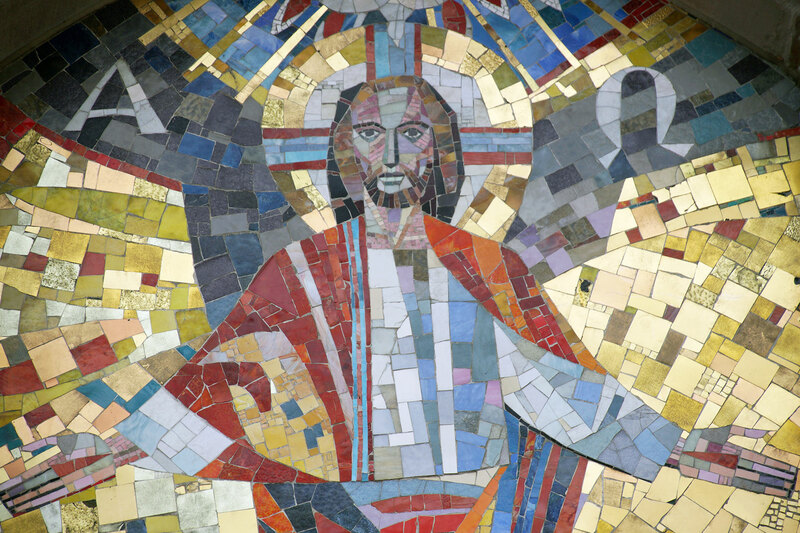 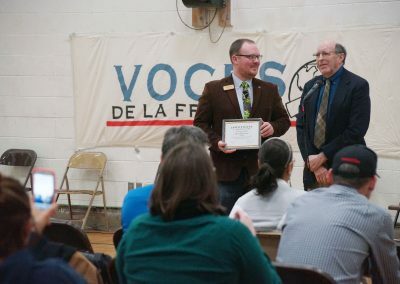 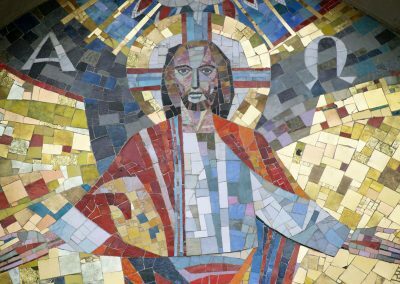 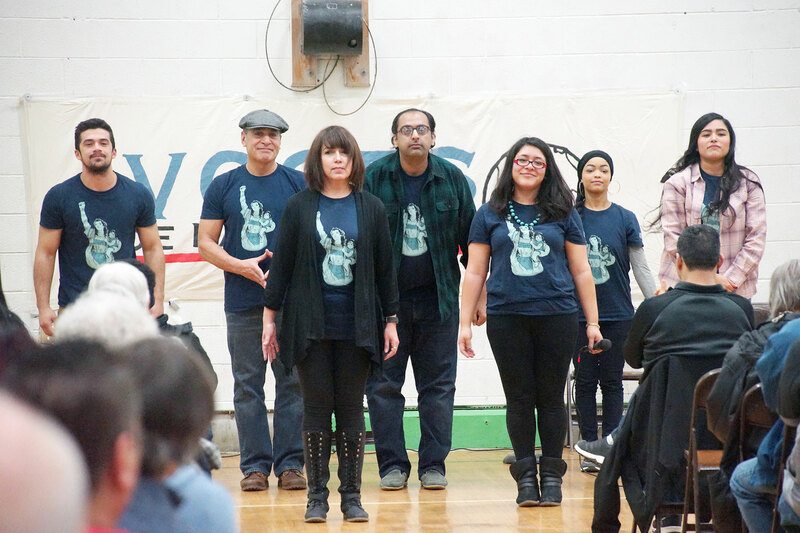 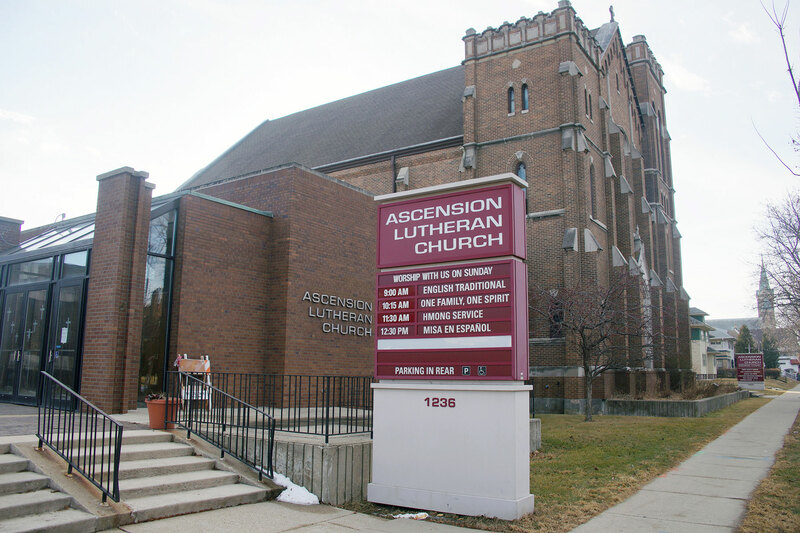 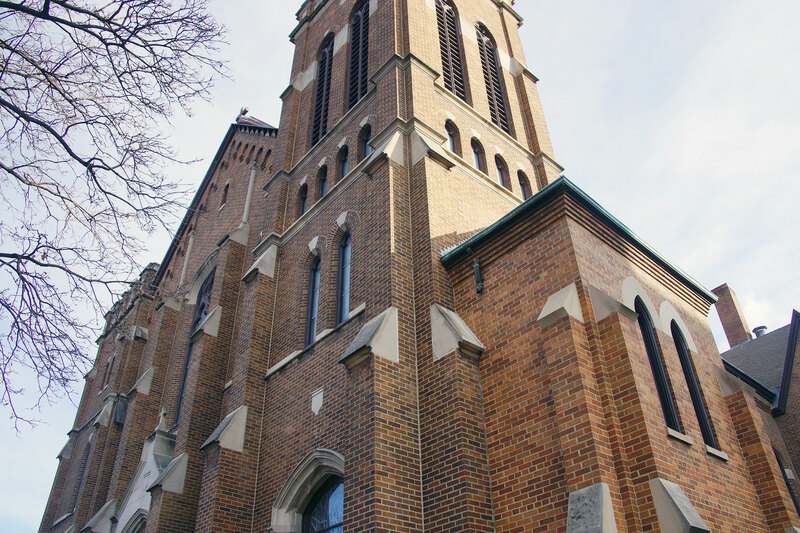 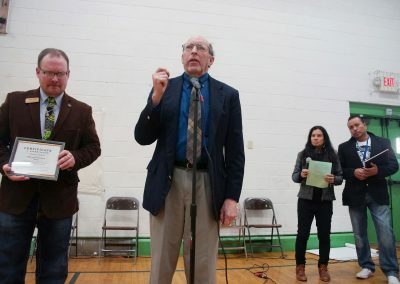 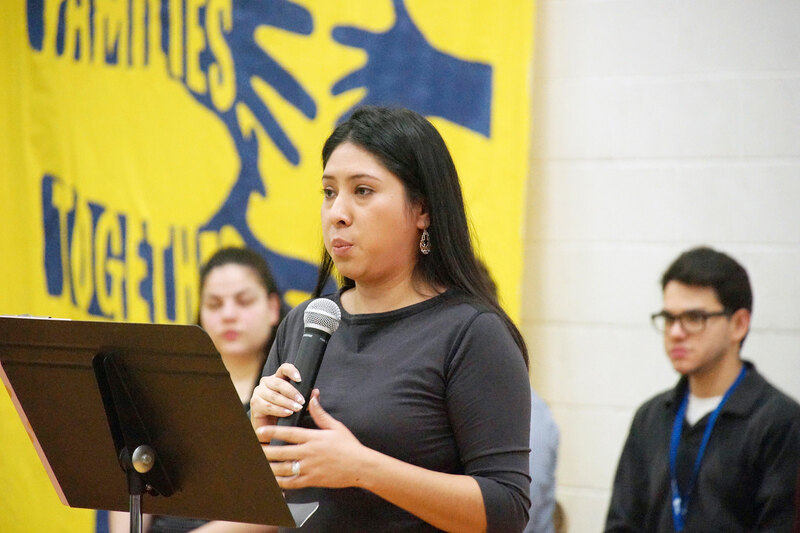 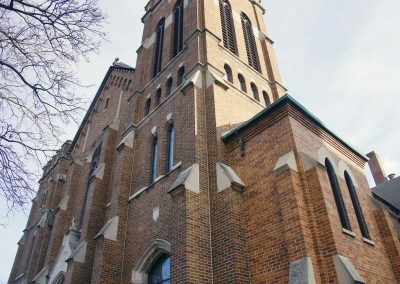 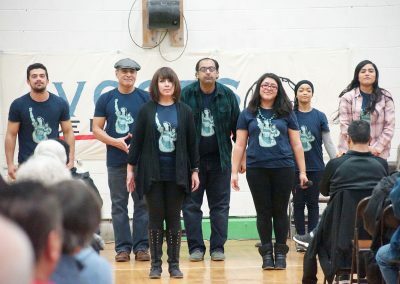 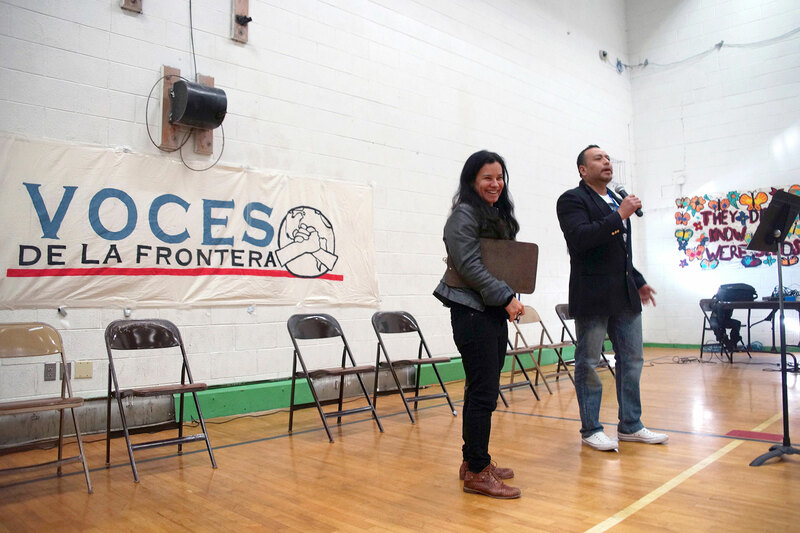 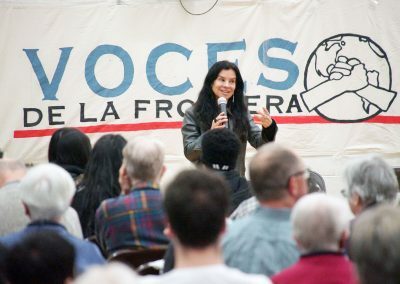 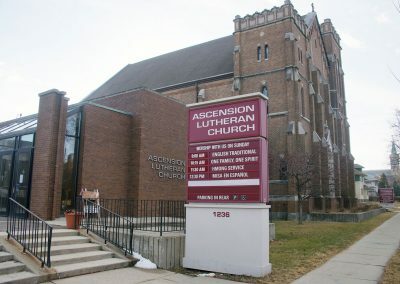 Hundreds of participants attended the Annual Assembly for Voces de la Frontera at Ascension Lutheran Church on January 27. 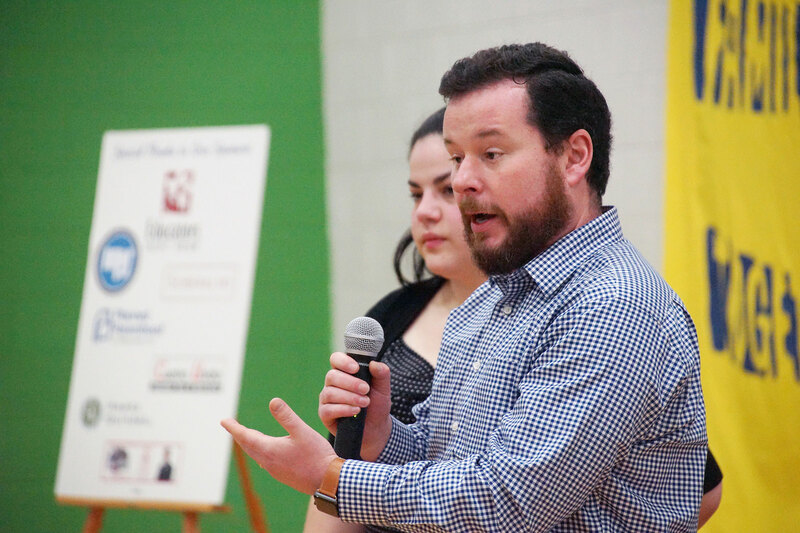 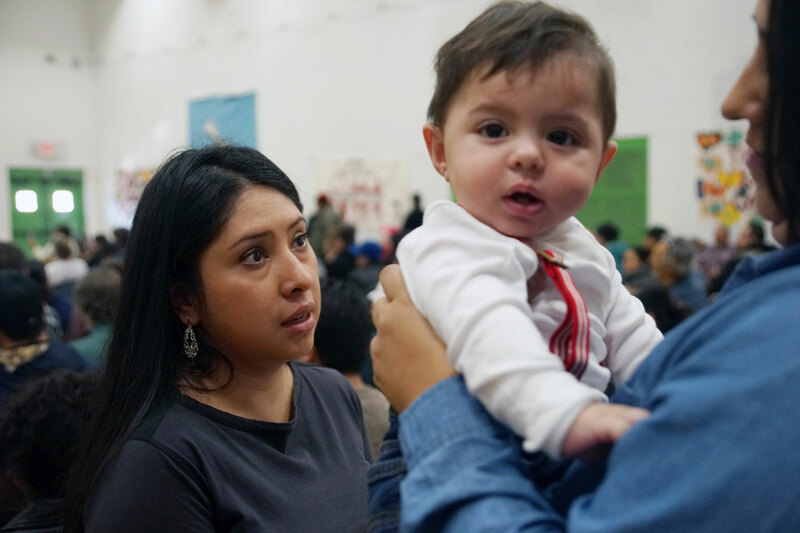 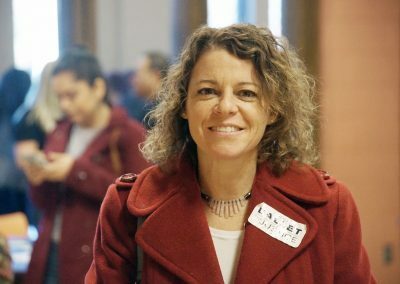 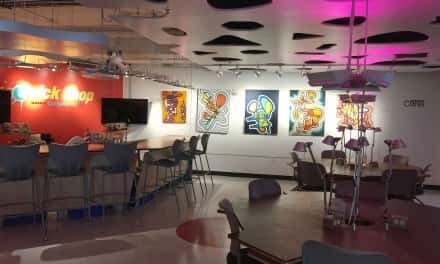 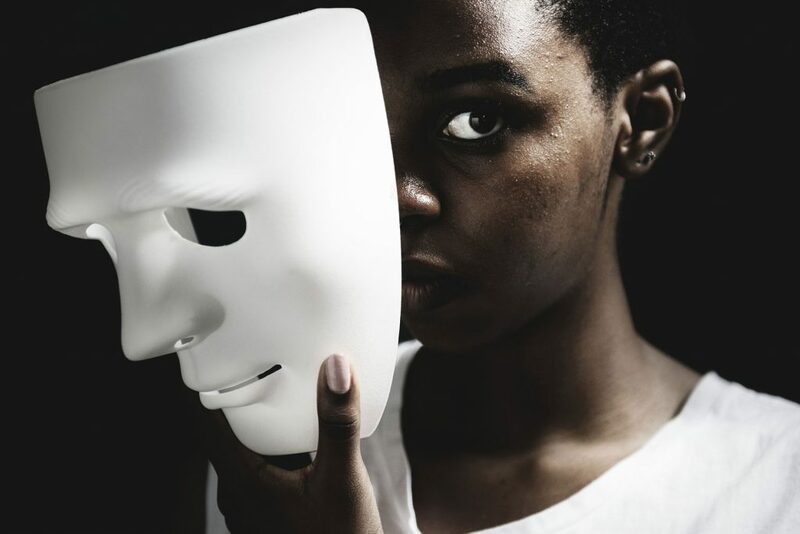 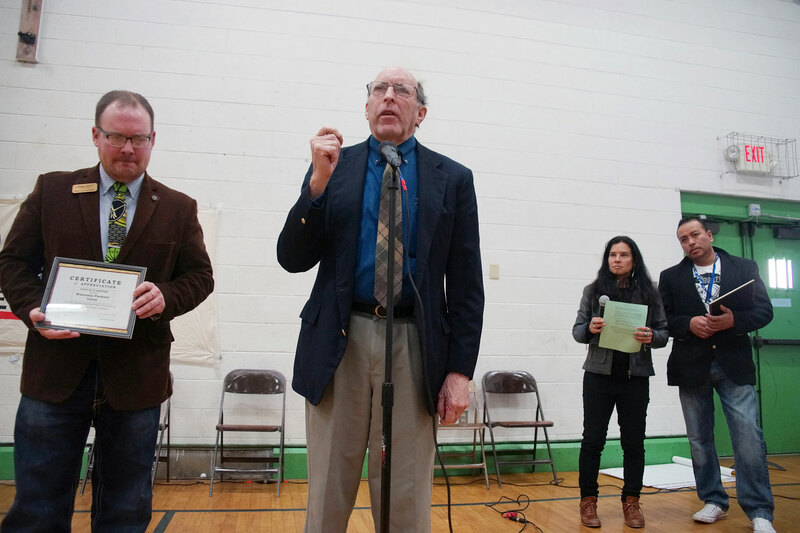 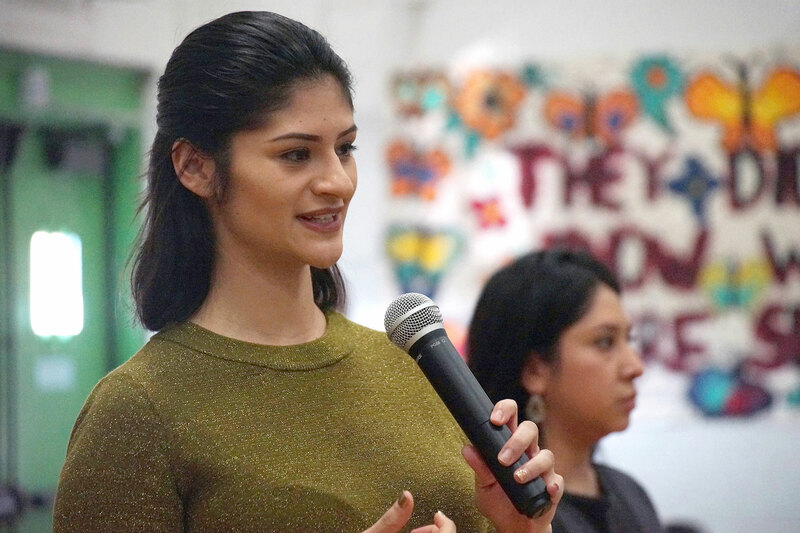 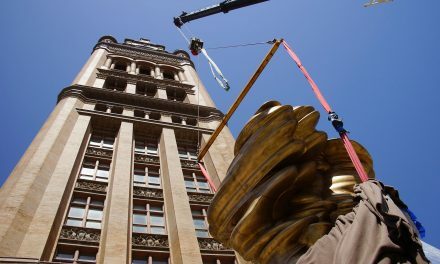 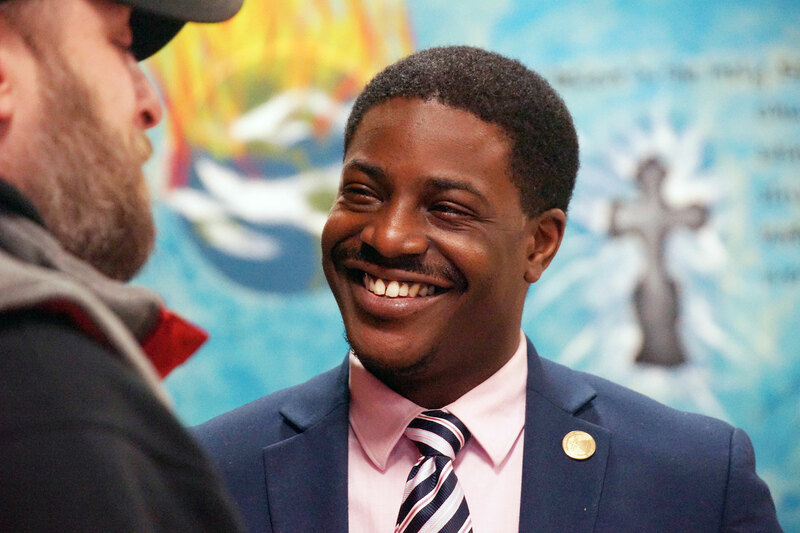 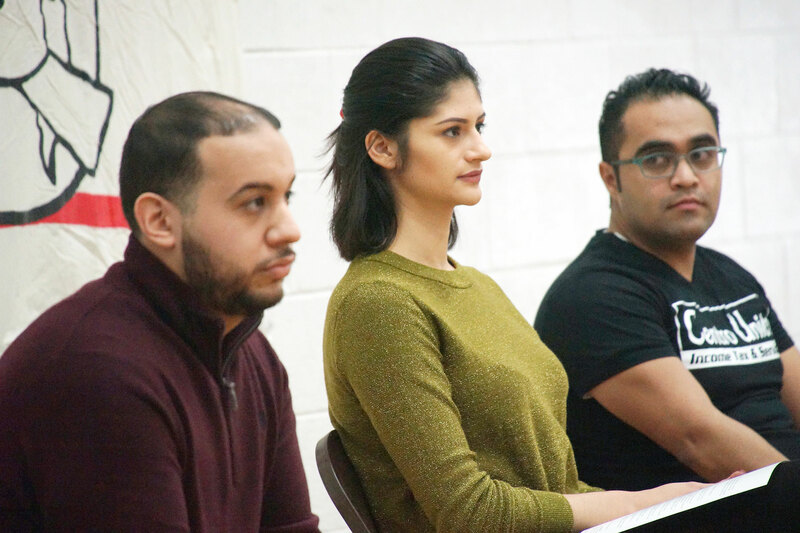 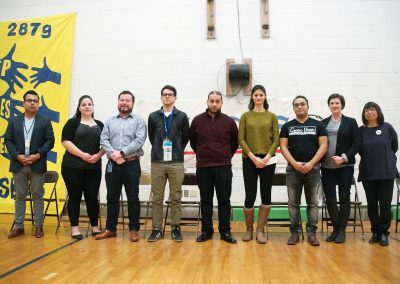 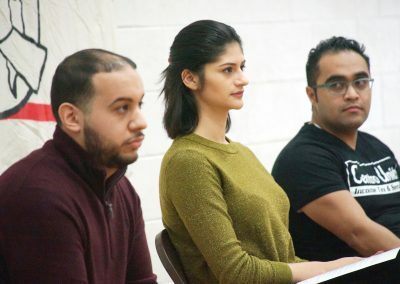 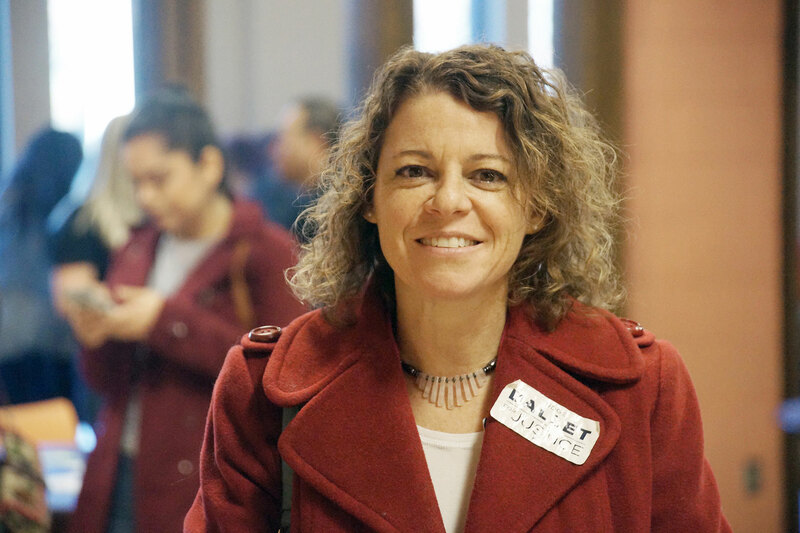 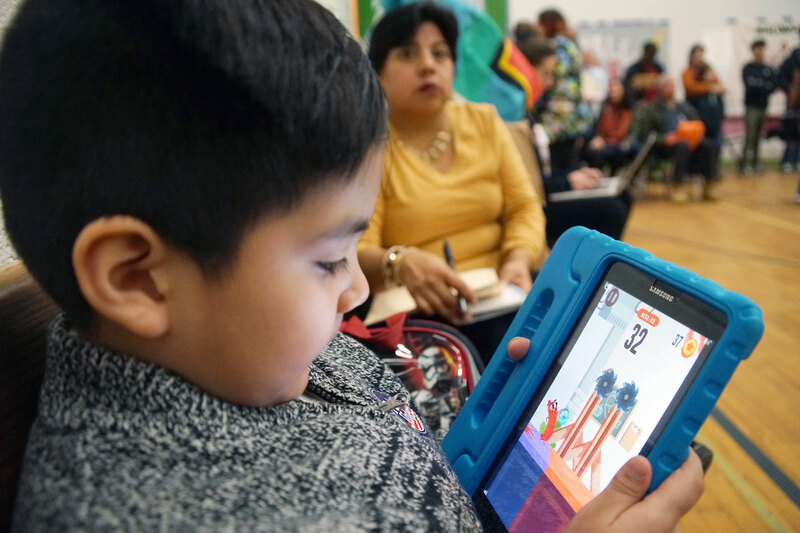 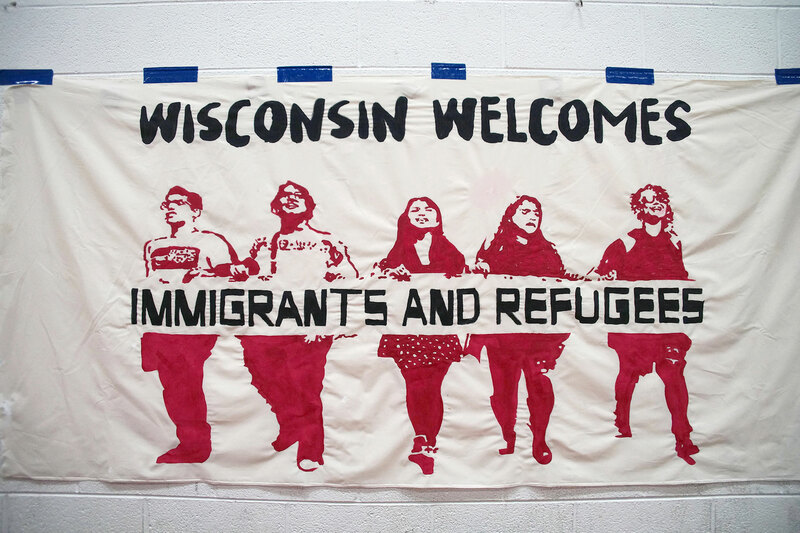 The nonprofit hosted the collaborative event, which attracted the largest gathering of immigrant leaders in Wisconsin, to decide organizational goals and priorities for 2018. 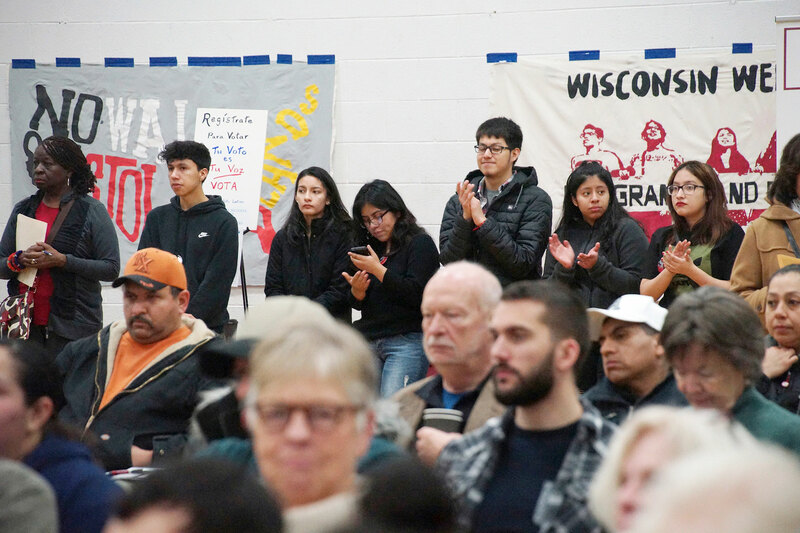 Among the subjects were the fight for the clean Dream Act, the campaign against 287g in Waukesha, and the anti-immigrant state bill AB190. 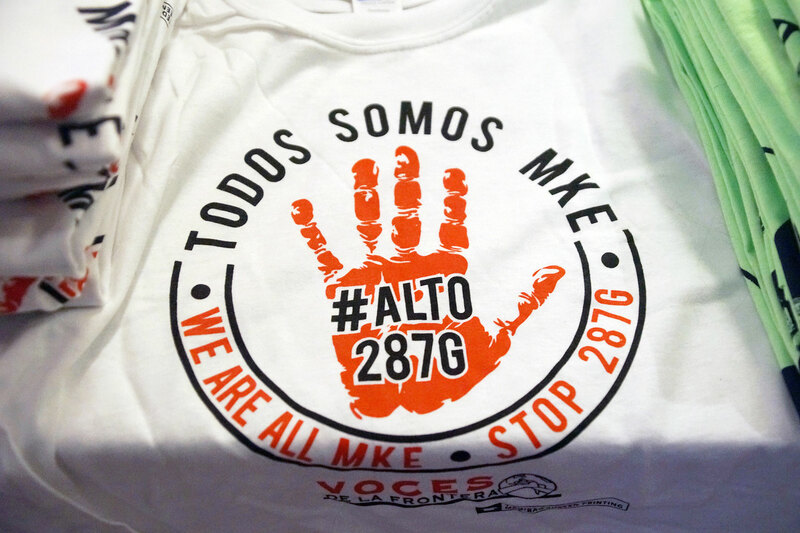 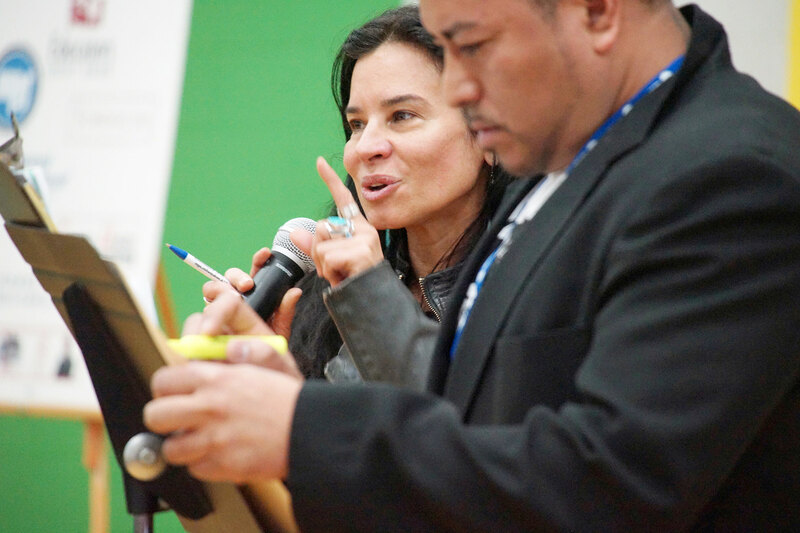 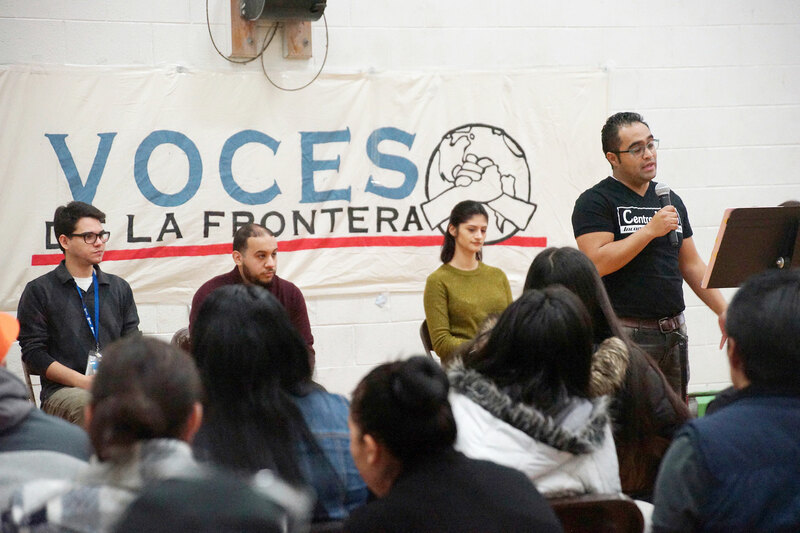 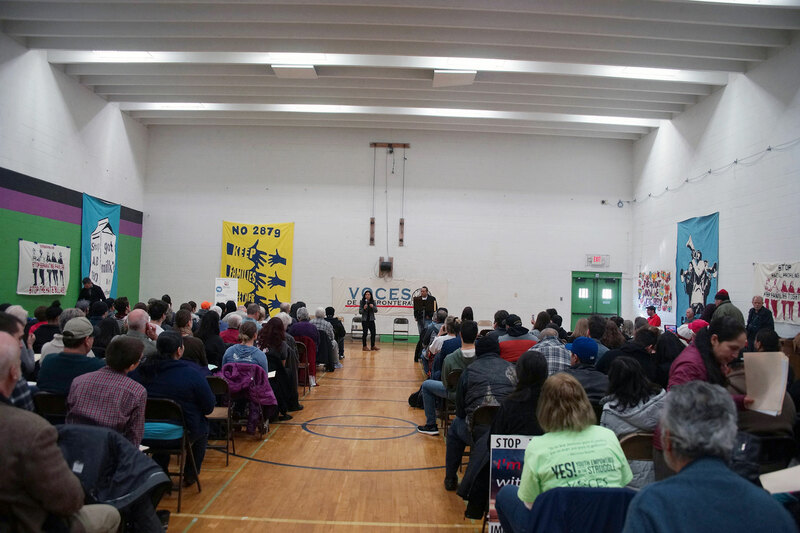 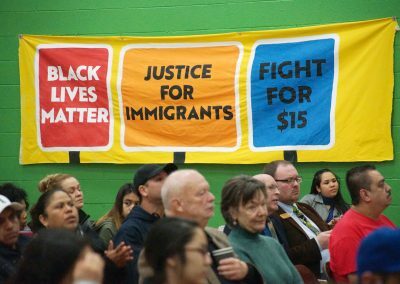 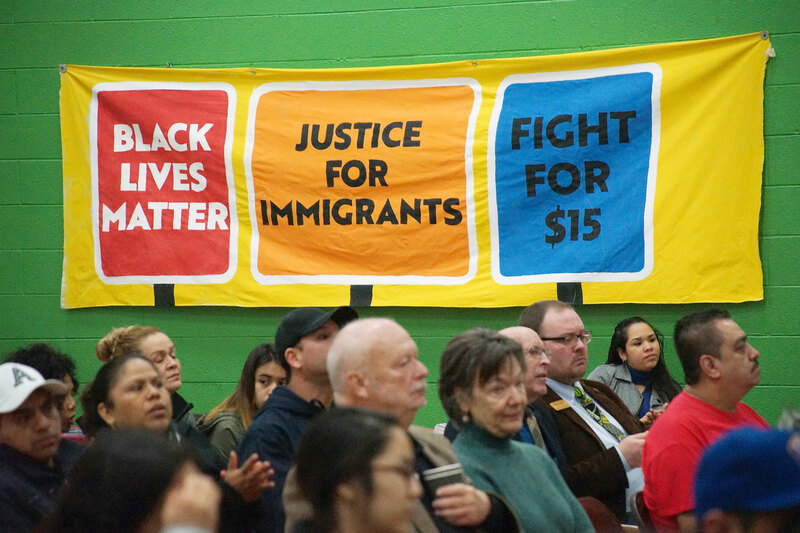 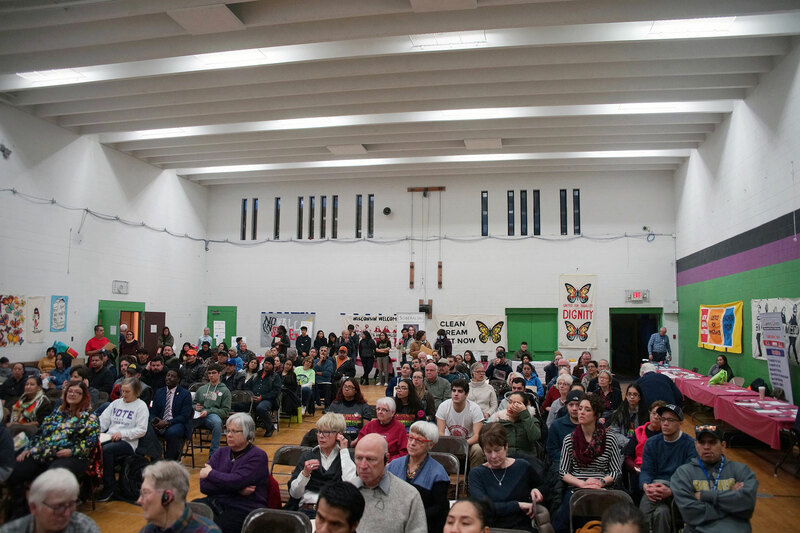 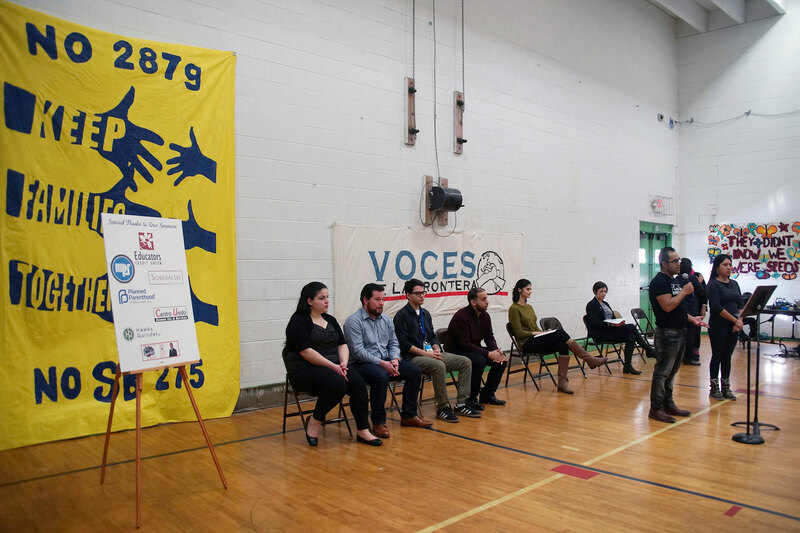 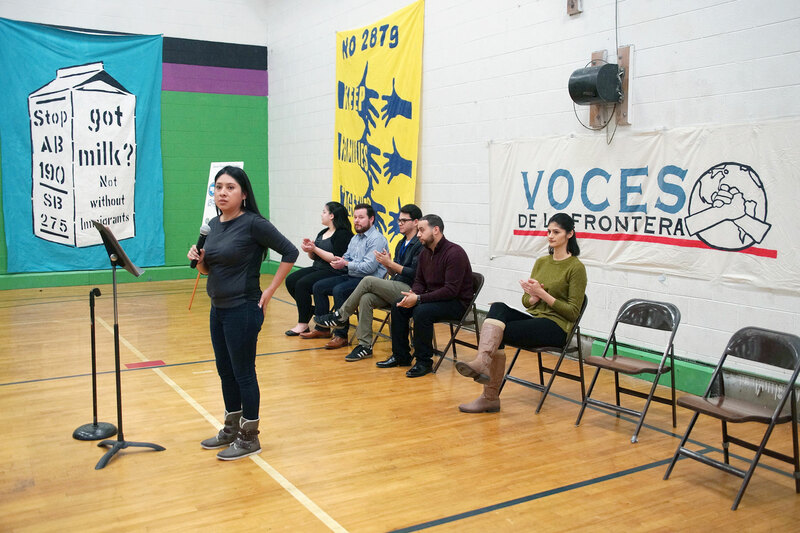 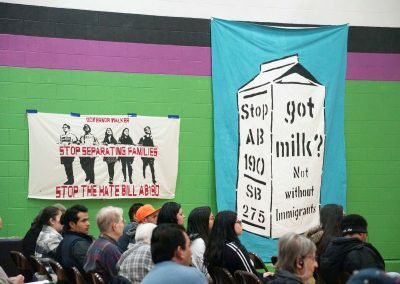 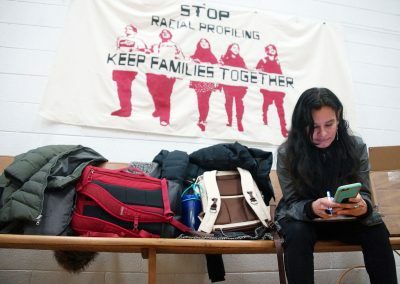 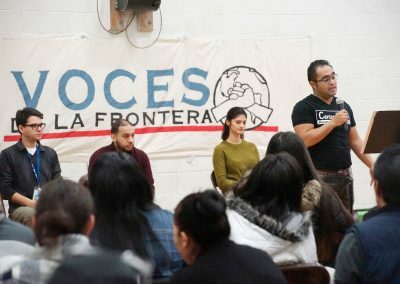 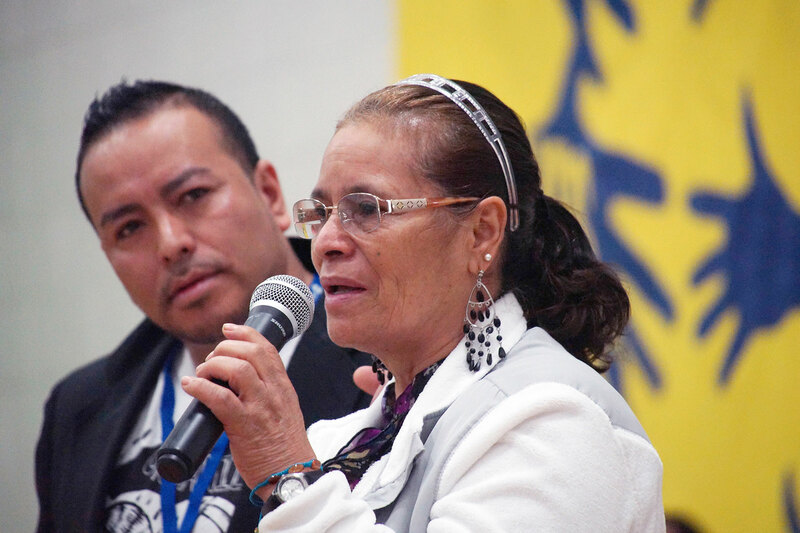 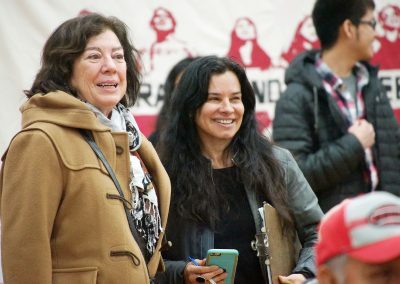 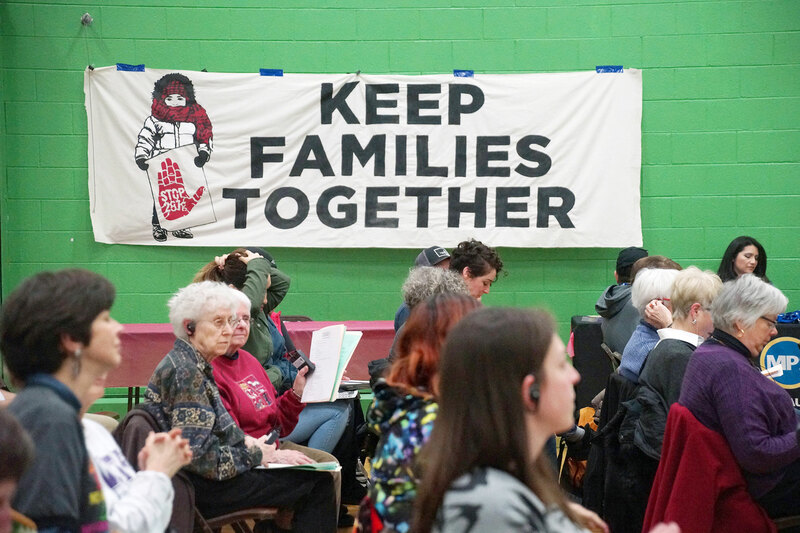 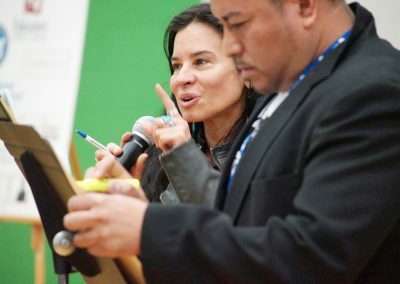 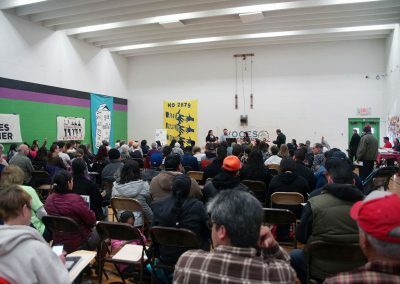 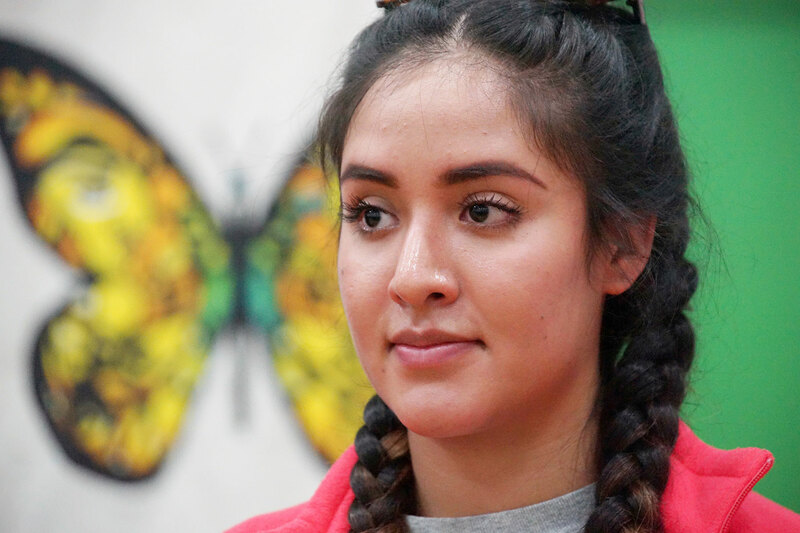 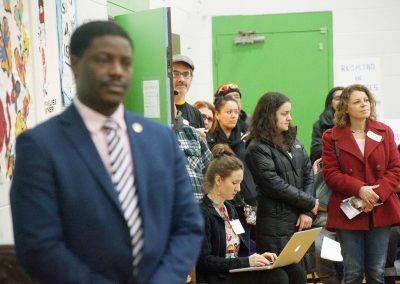 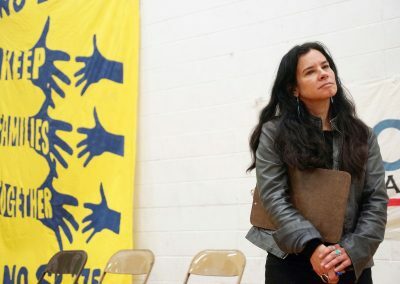 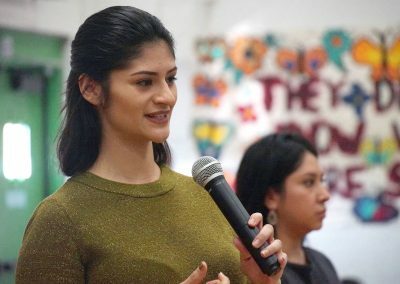 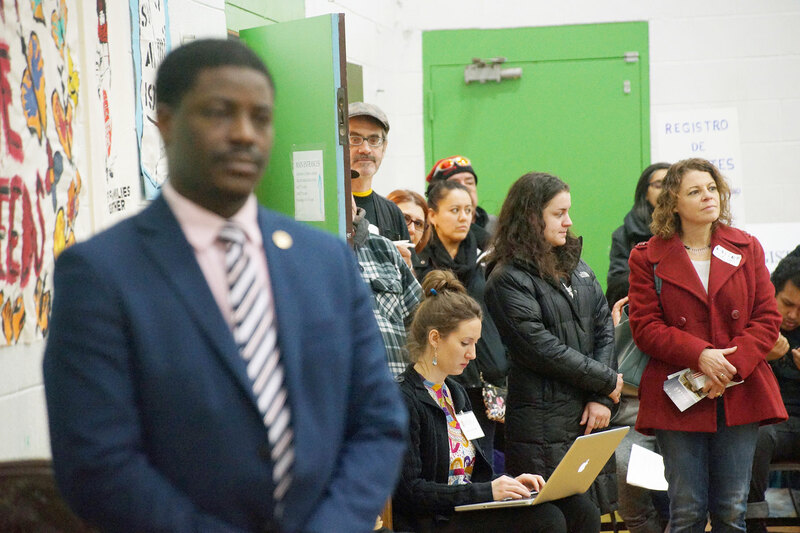 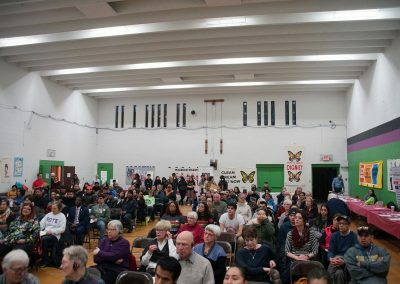 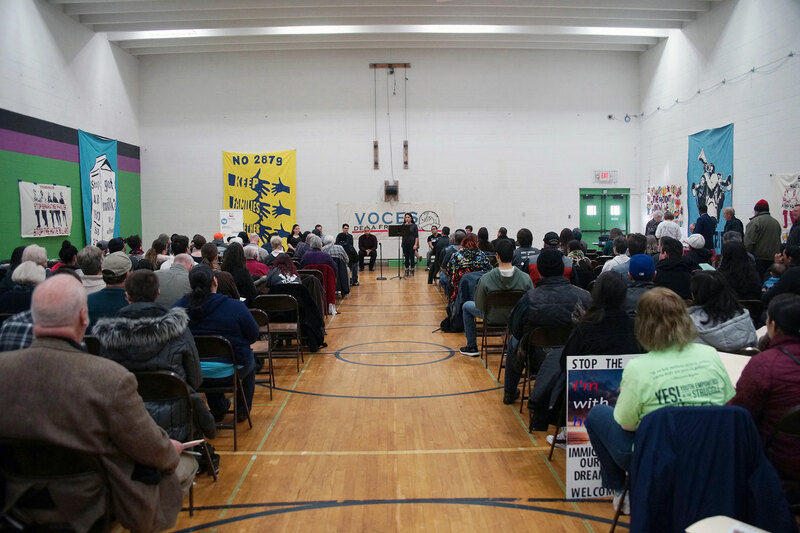 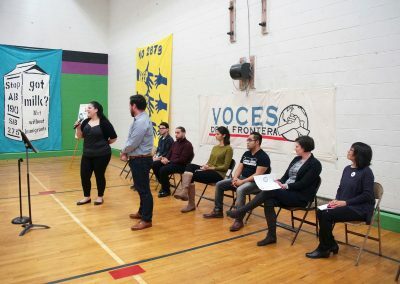 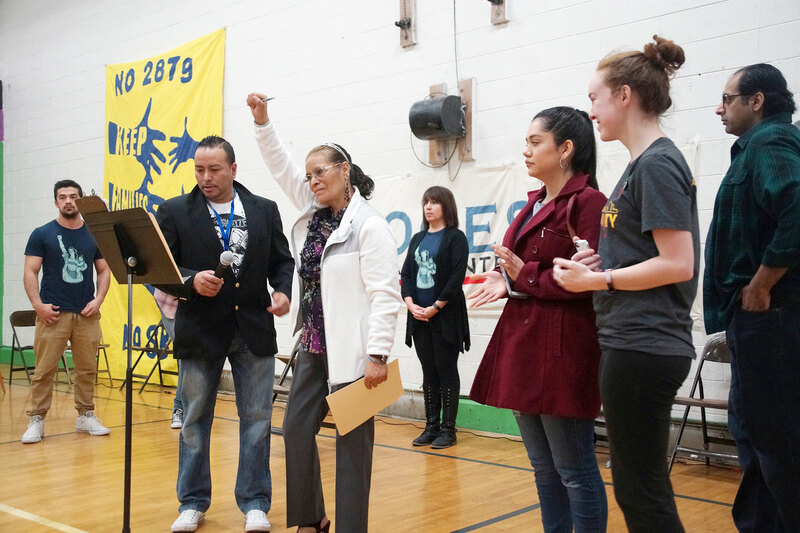 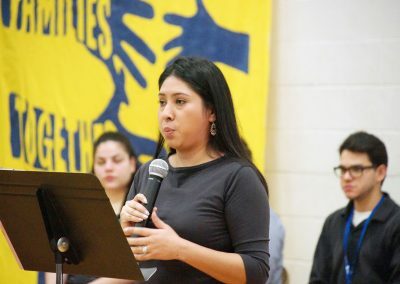 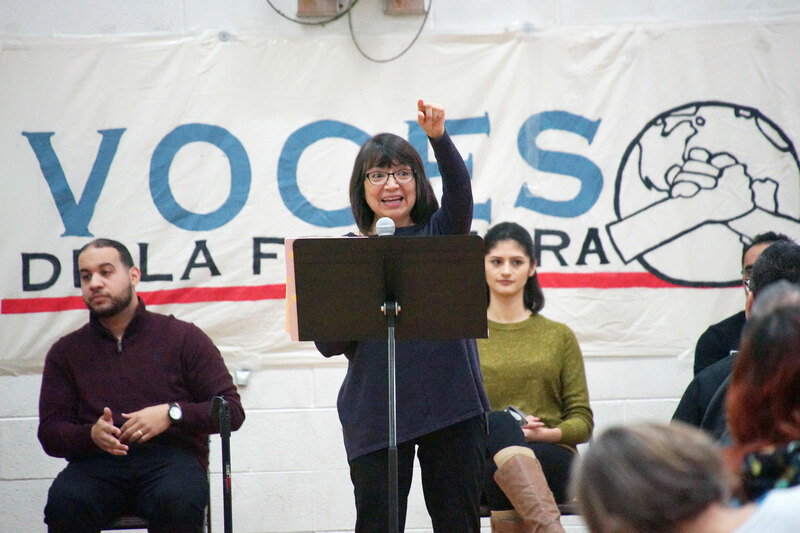 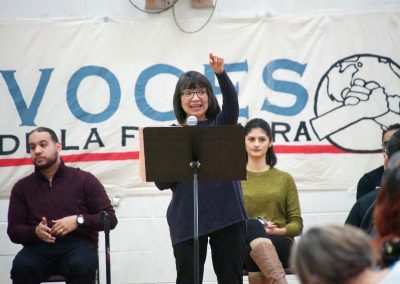 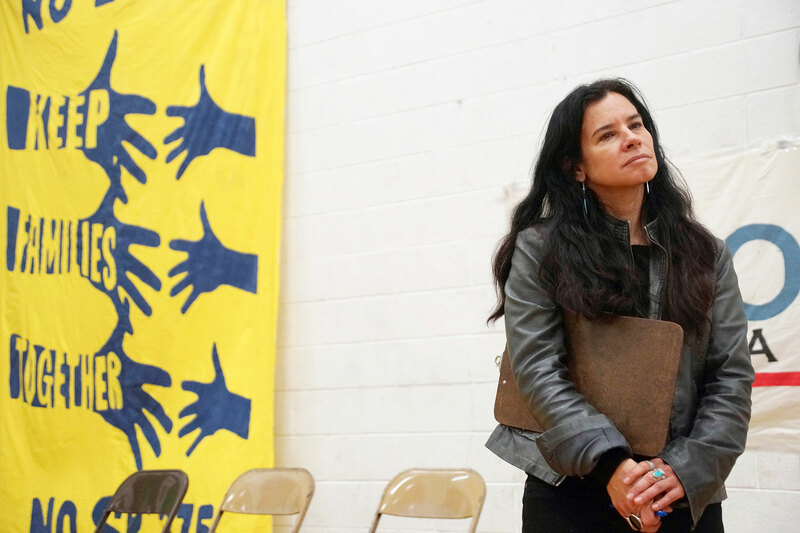 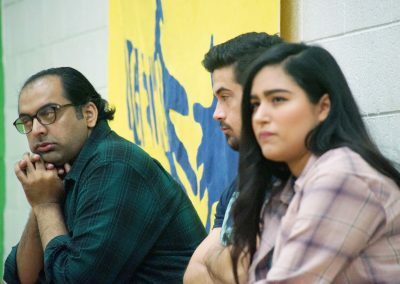 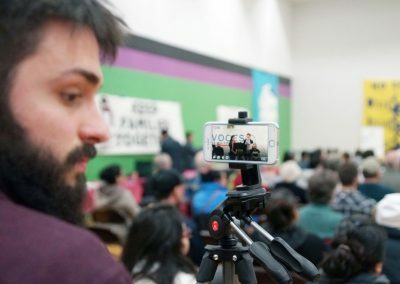 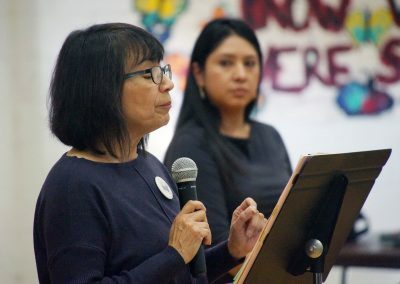 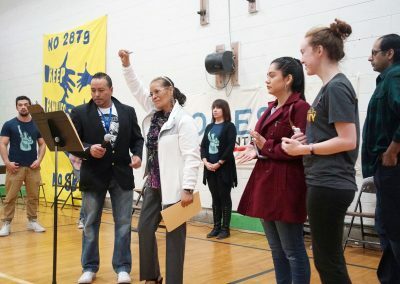 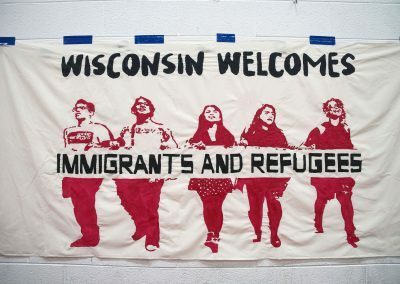 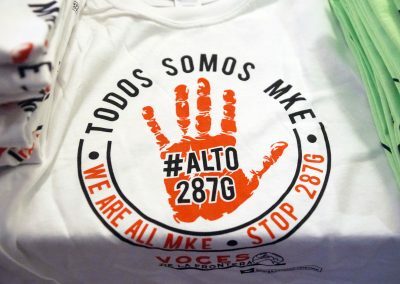 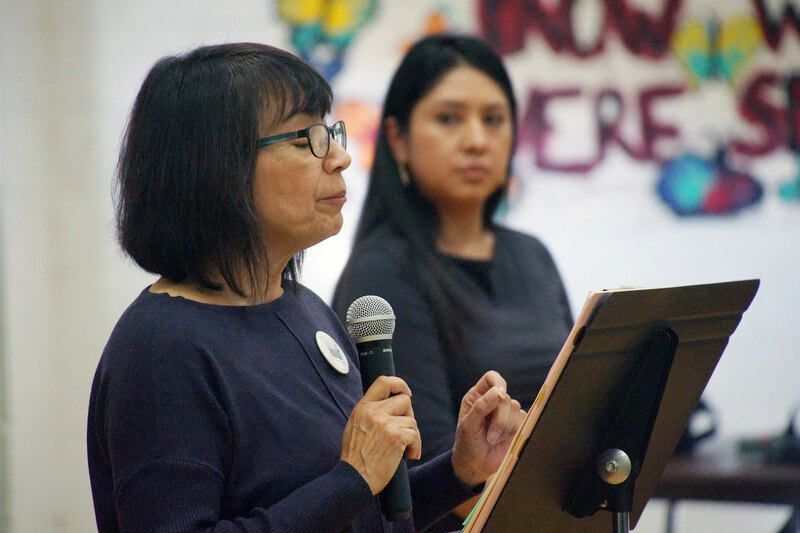 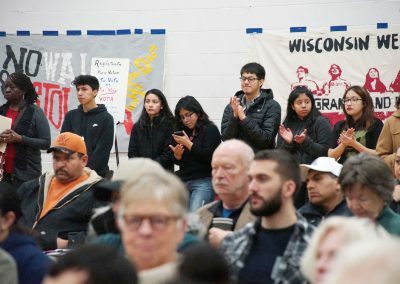 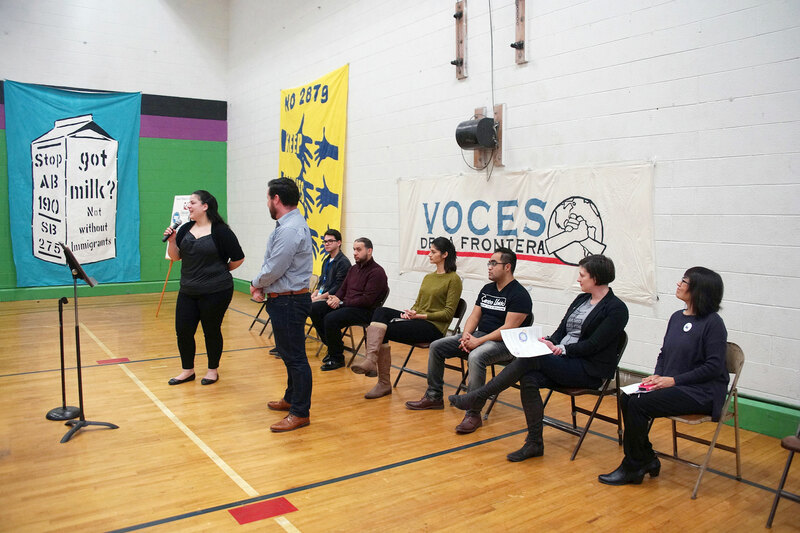 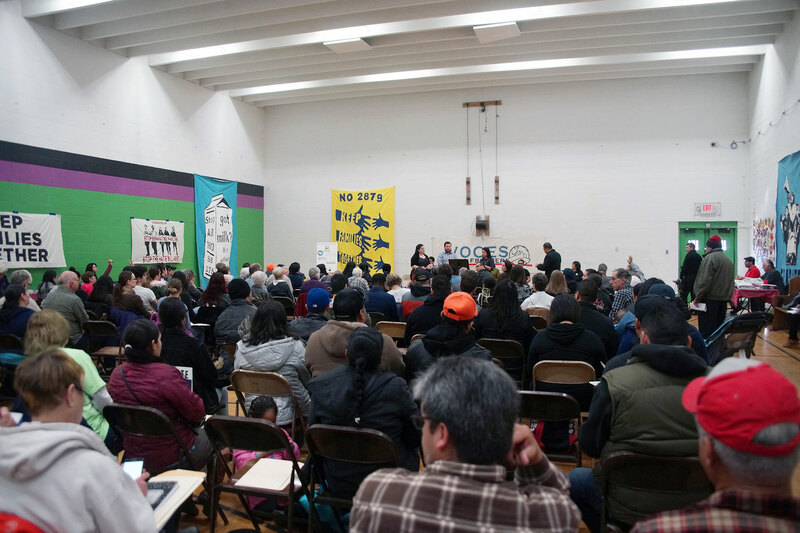 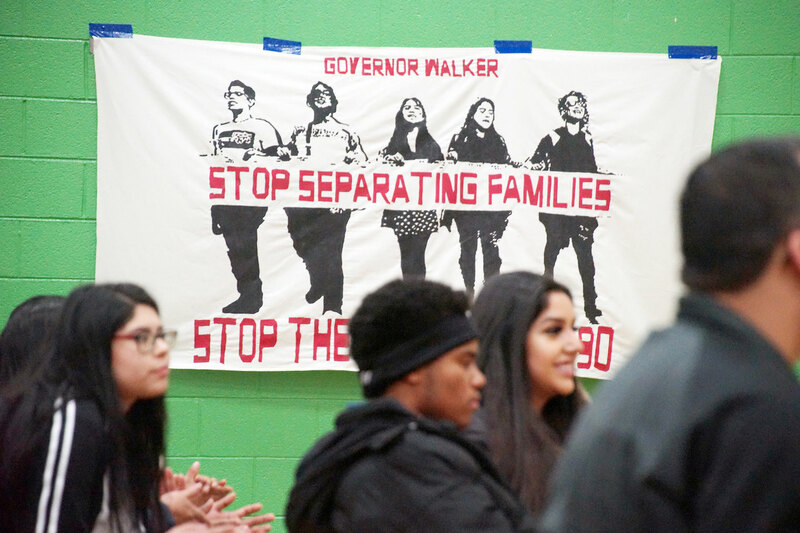 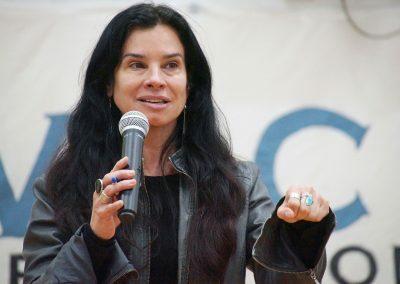 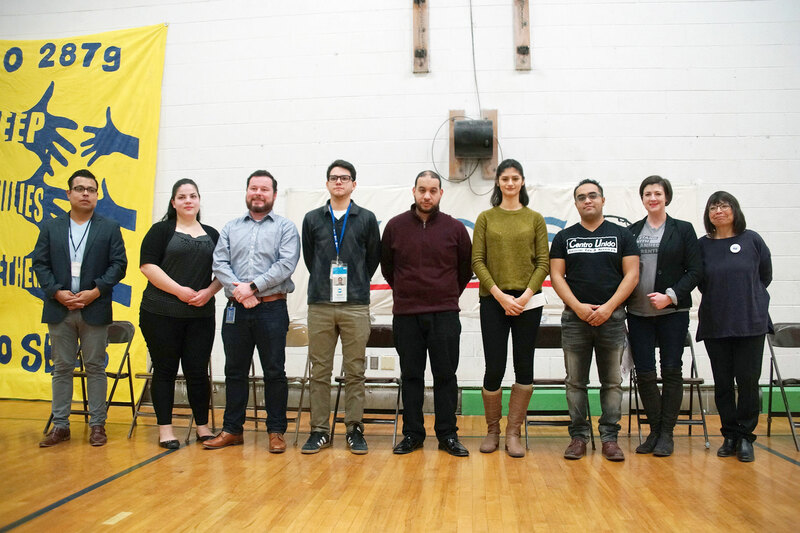 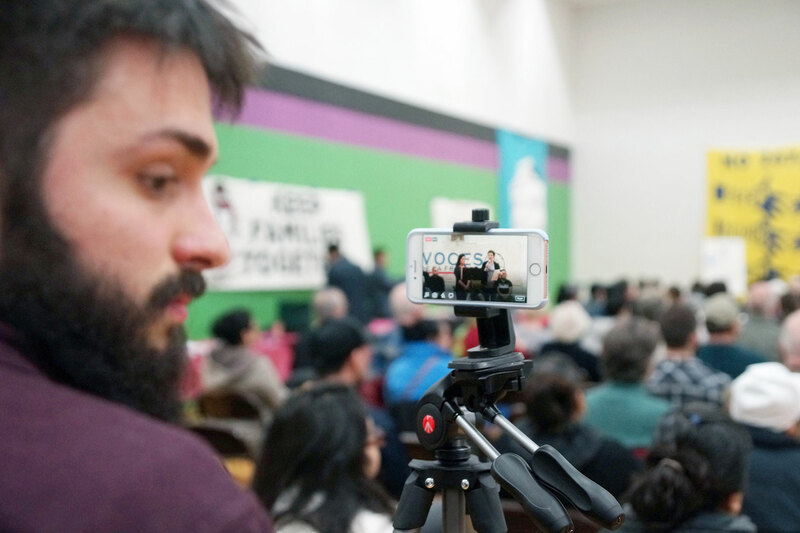 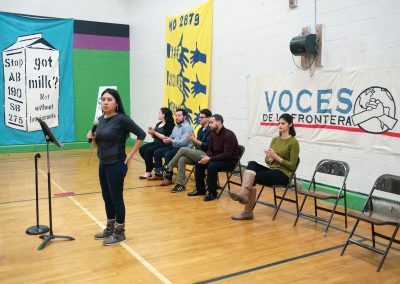 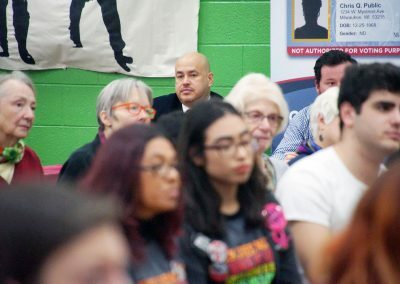 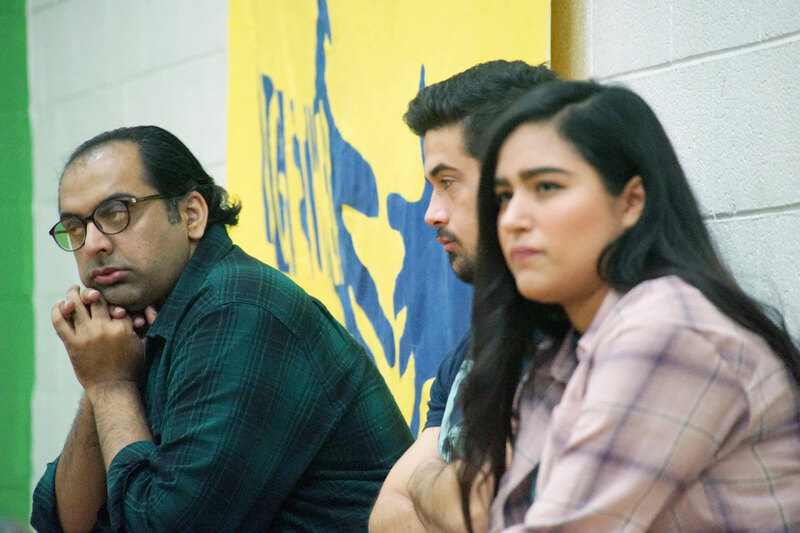 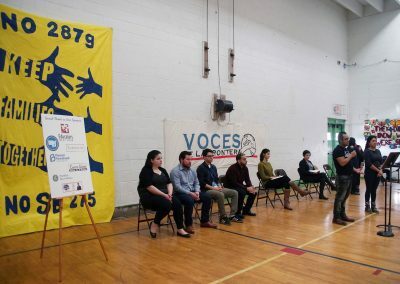 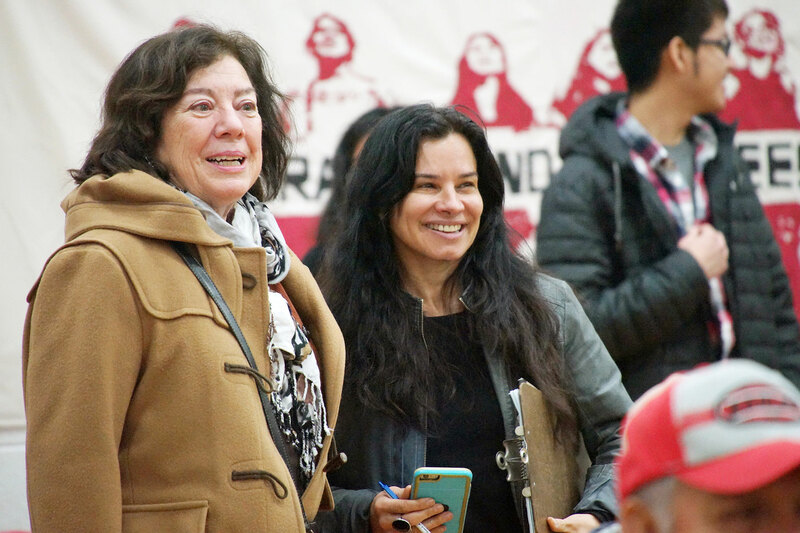 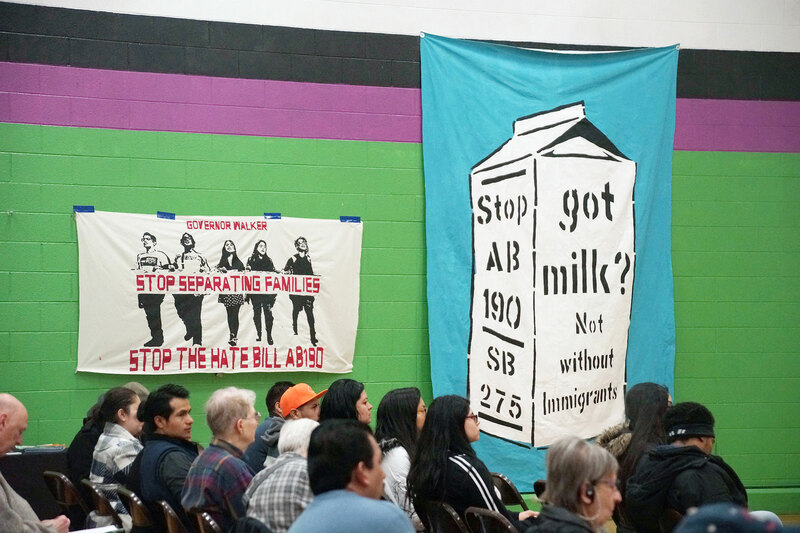 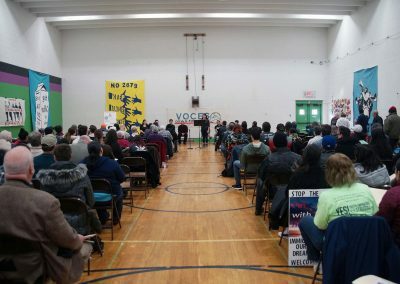 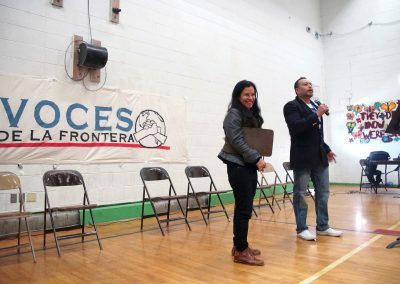 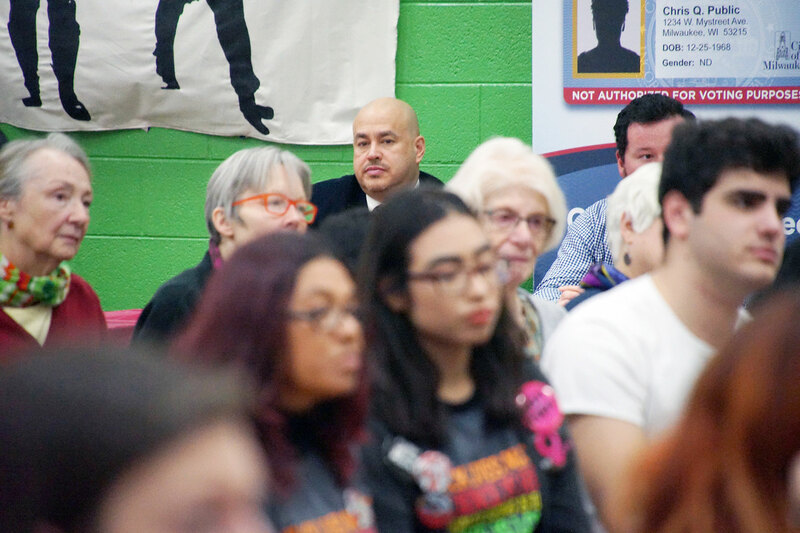 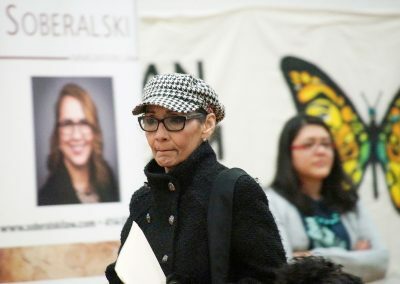 Along with Youth Empowered in the Struggle (YES), hundreds of community members from Milwaukee and from the seven other Voces de la Frontera chapters across the state attended to strategize their continued efforts to defeat Trump policies, which have continued to target immigrants and people of color over the year since his inauguration. 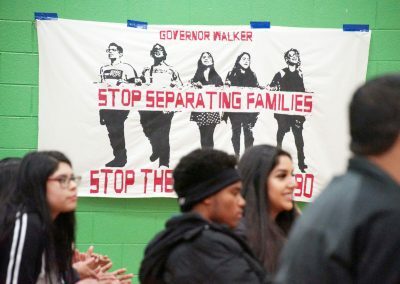 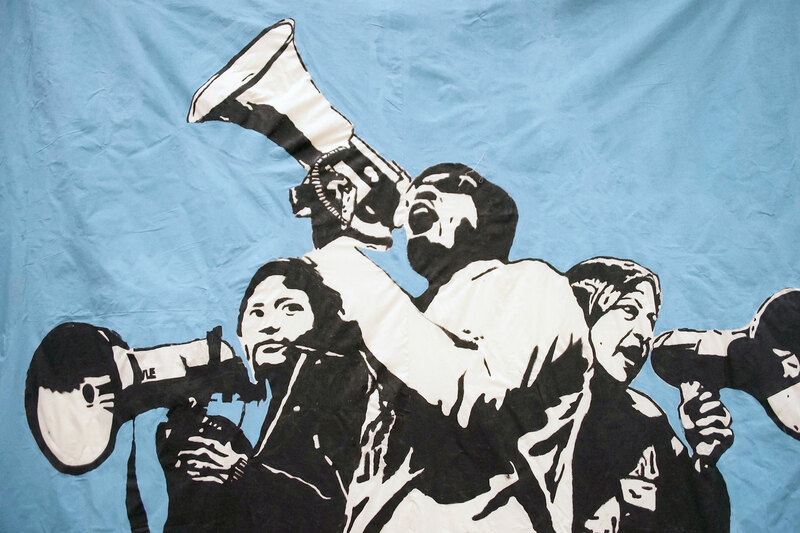 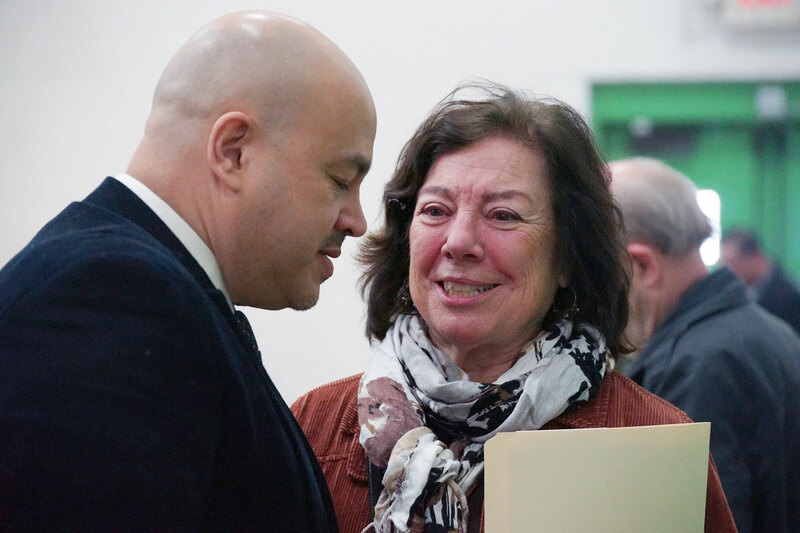 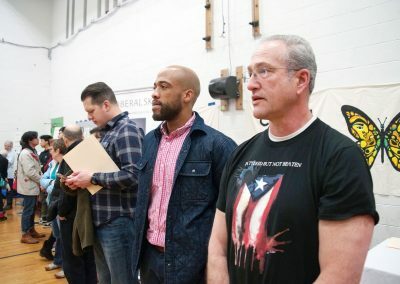 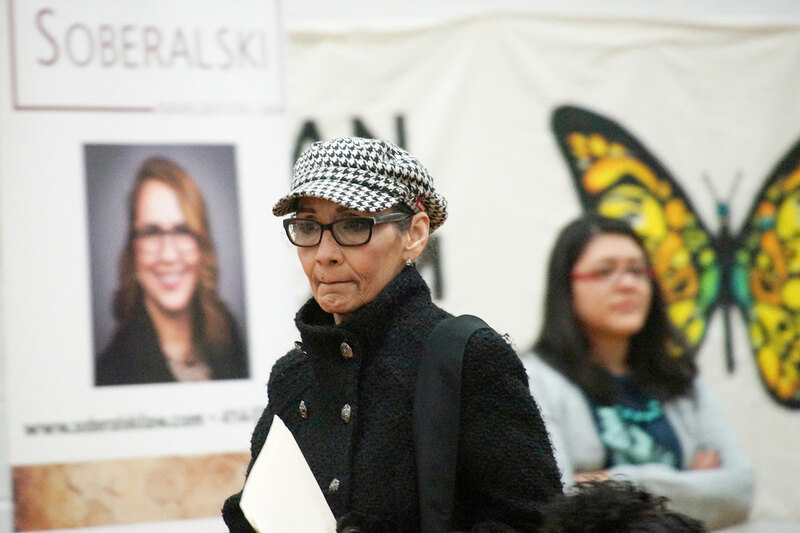 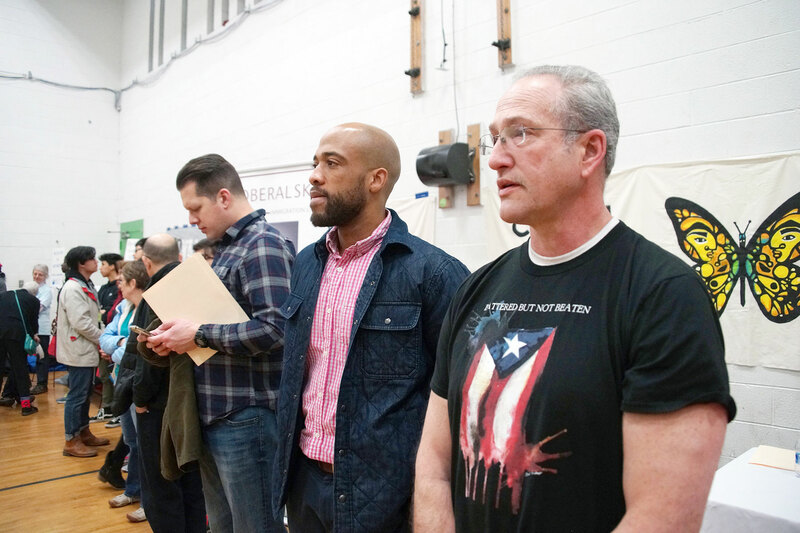 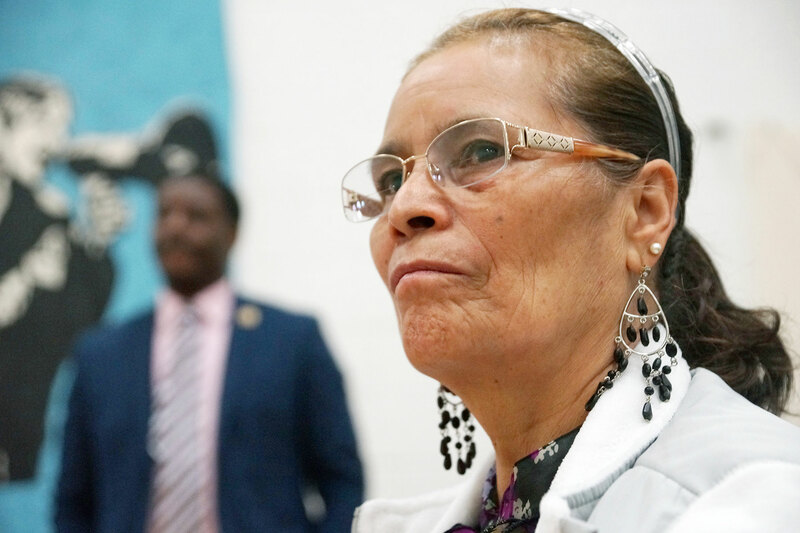 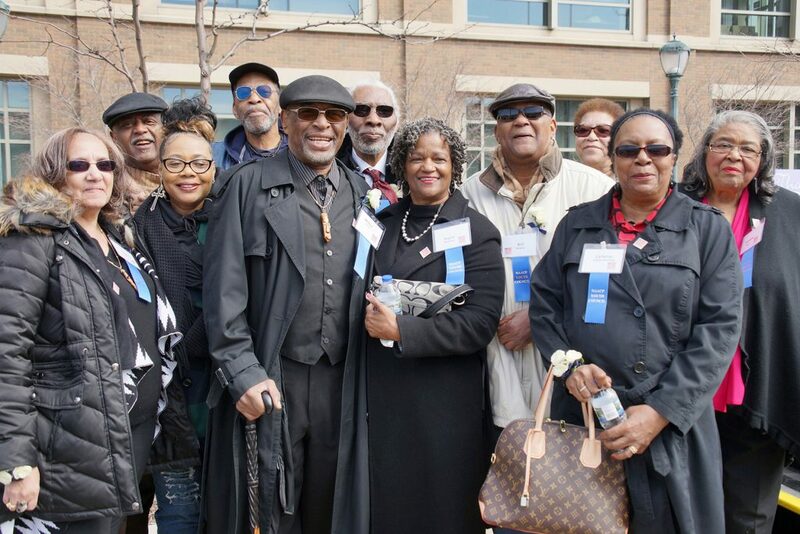 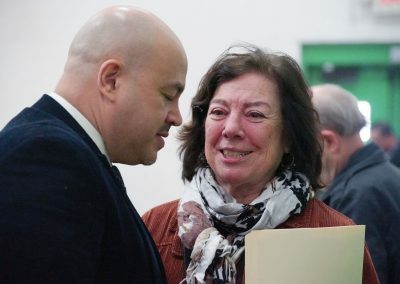 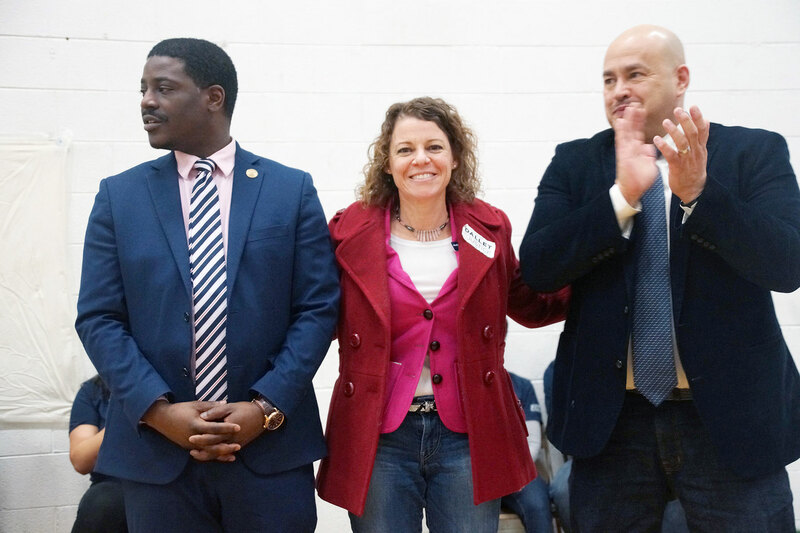 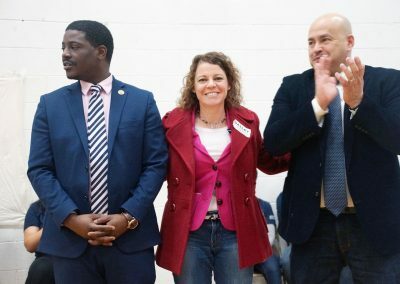 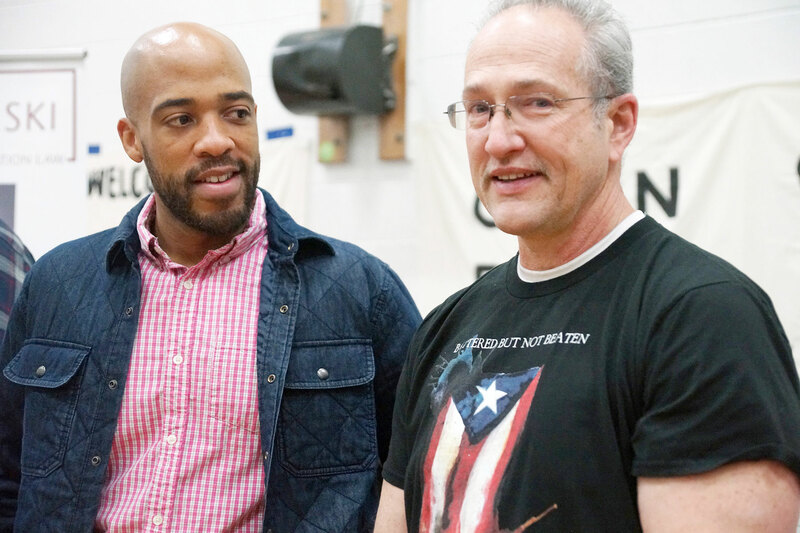 One highlight of success in 2017 was the effort Voces De La Frontera took to pressure Milwaukee County Sheriff David Clarke from office, through protests and by delivering demands directly to Governor Walker. 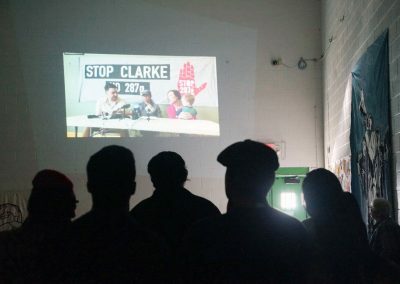 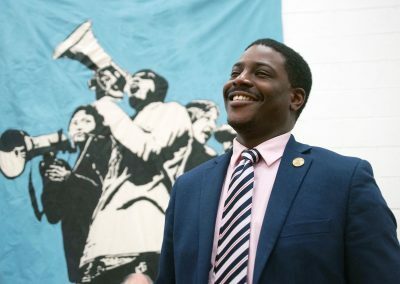 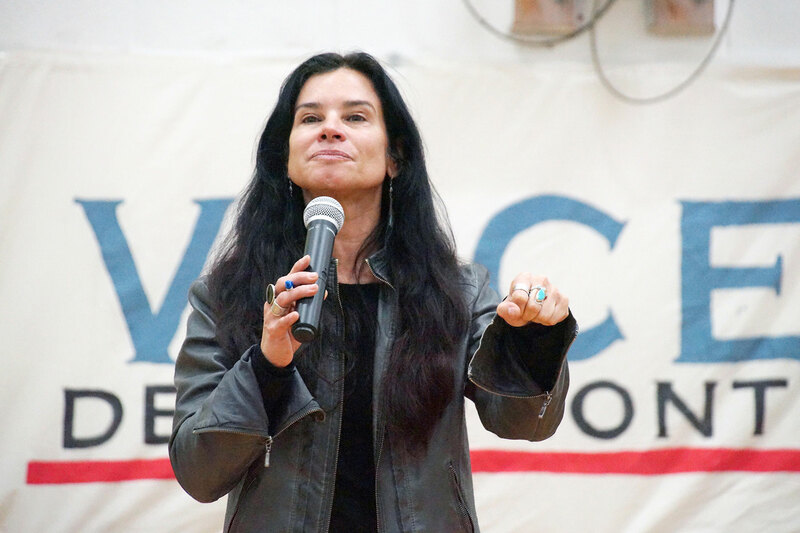 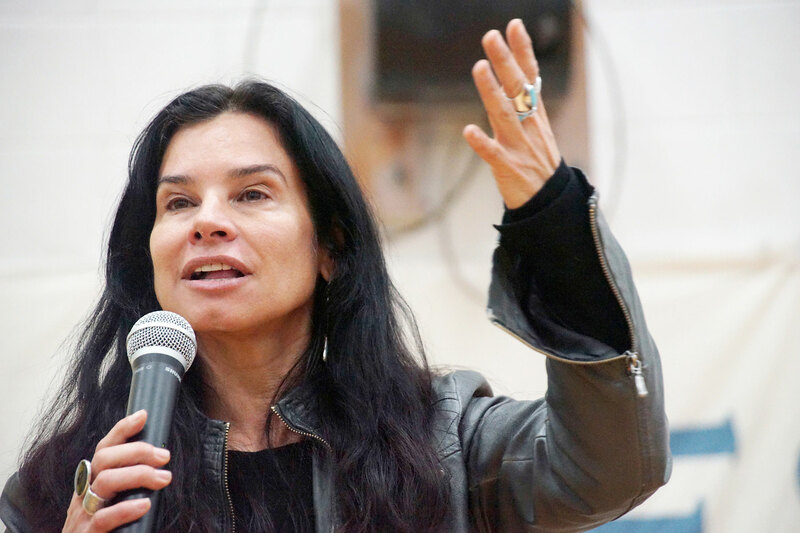 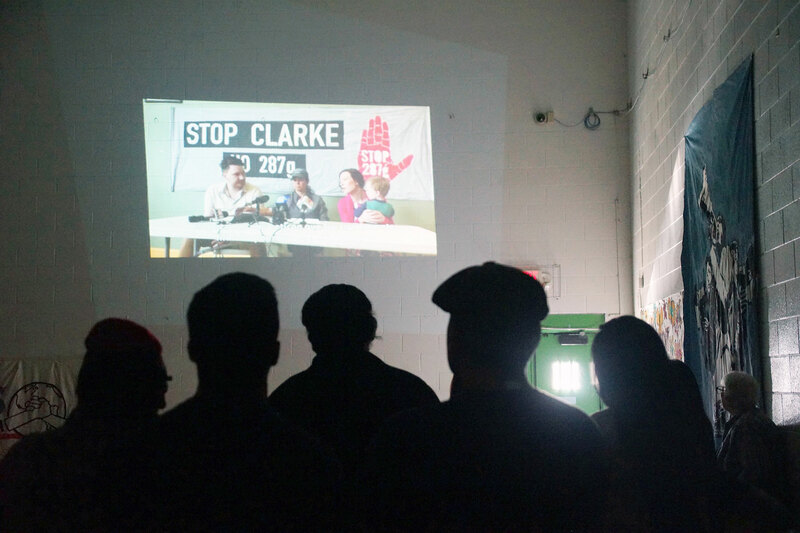 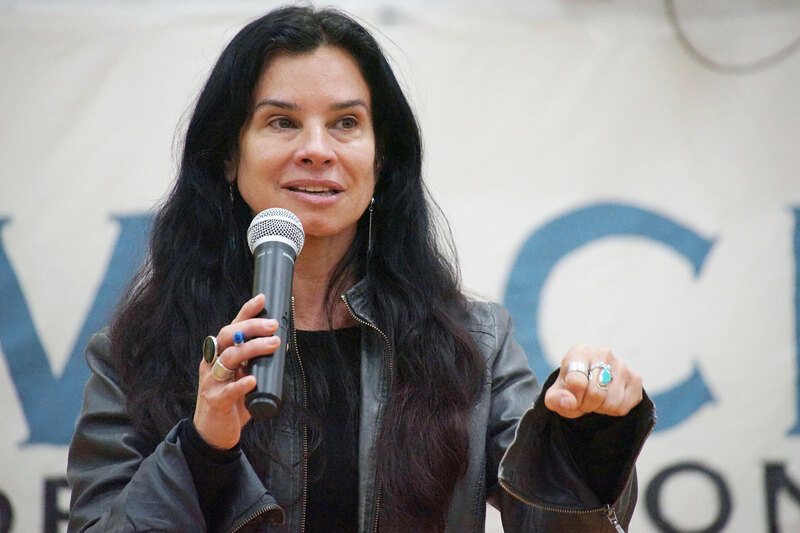 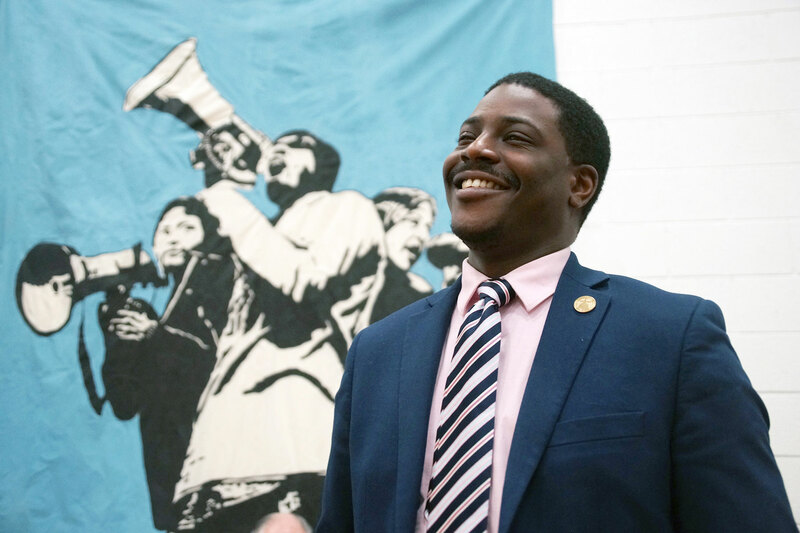 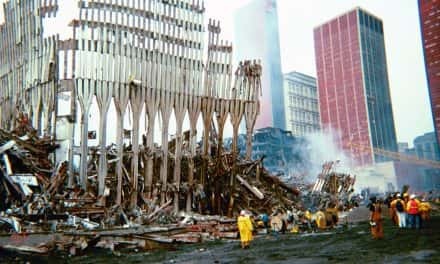 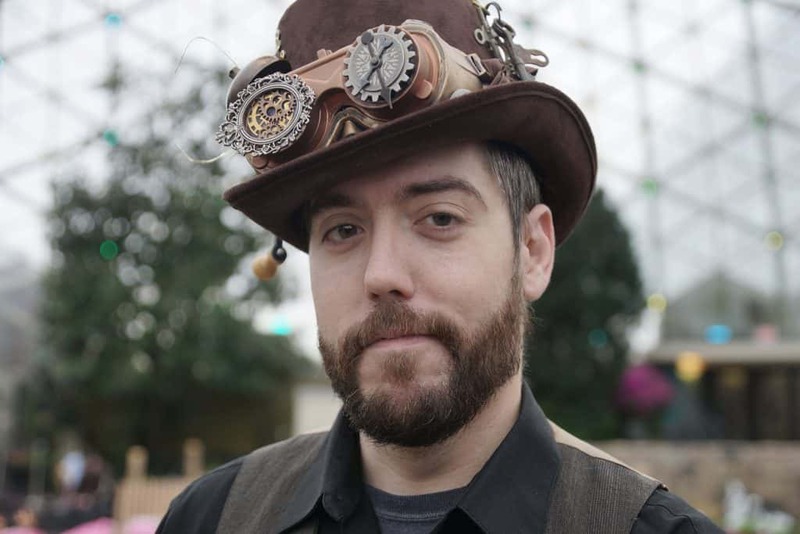 Clarke also lost out on a Trump administration position as a result of the group’s advocacy work. 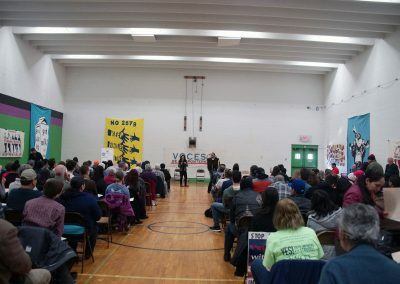 City of Milwaukee workers were also present during the assembly to help community members sign up for the Milwaukee ID. 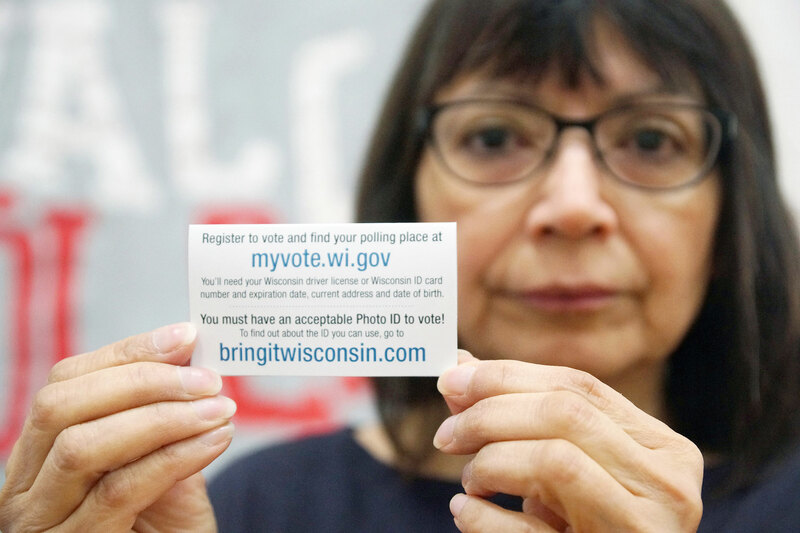 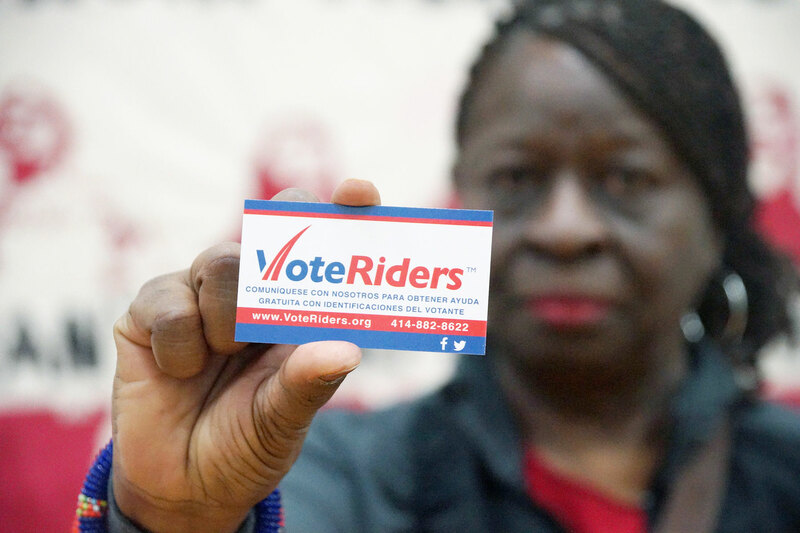 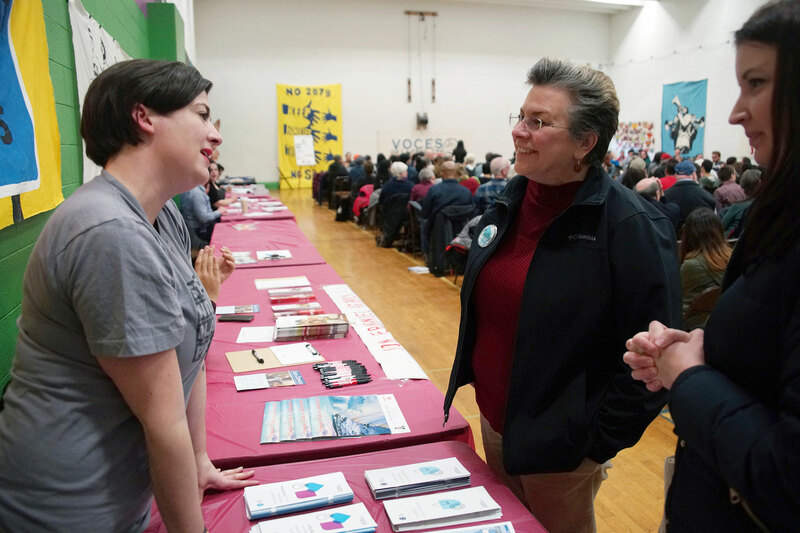 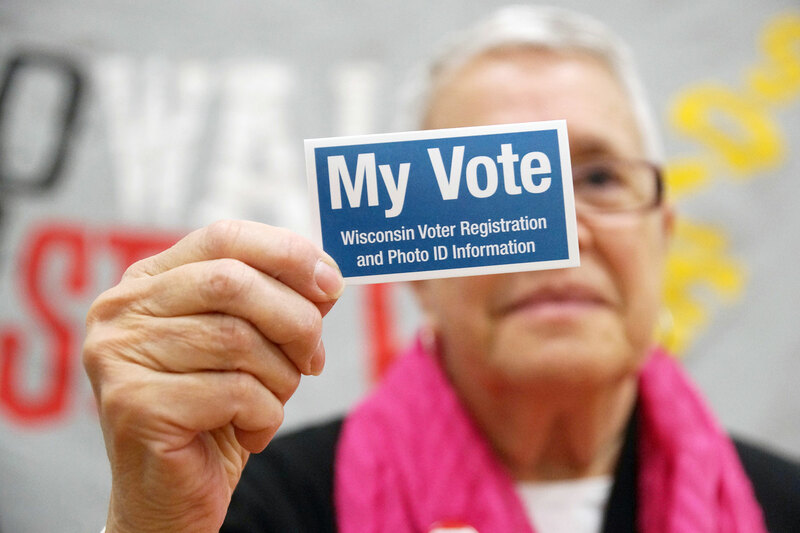 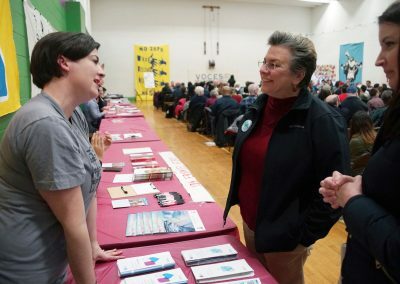 Members from the League of Women Voters and VoteRiders.org provided bilingual materials and online resources, like myvote.wi.gov to educate the public about the procedures for voting in the upcoming elections.